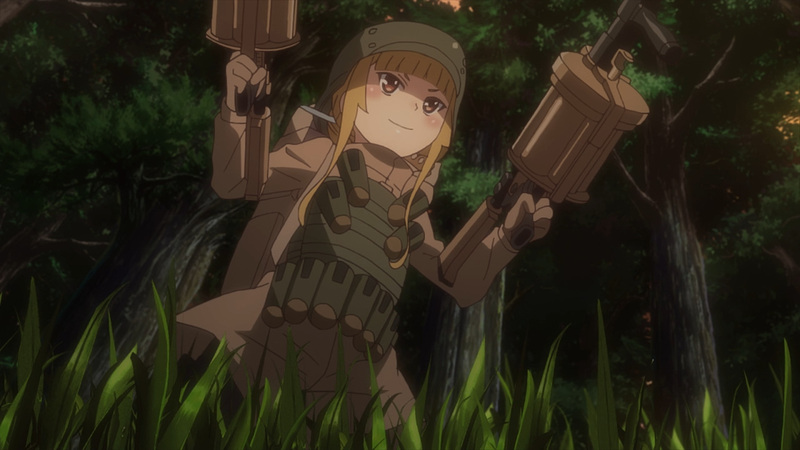 She’s a women on a mission. 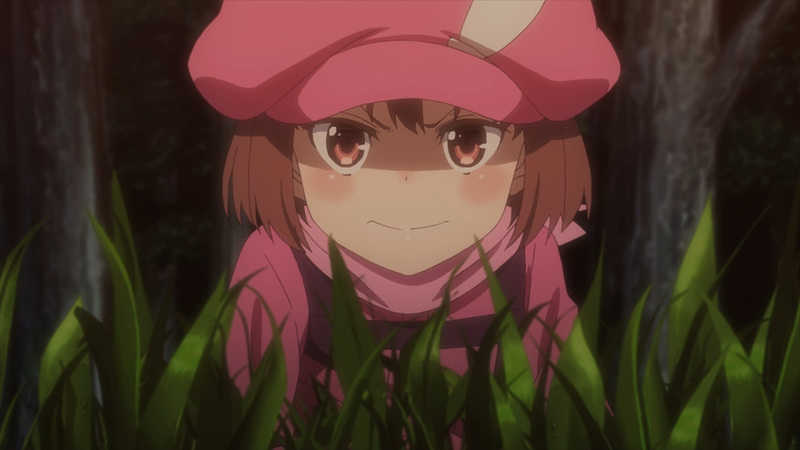 Team MMTM surprise drop in on LLENN has been foiled. 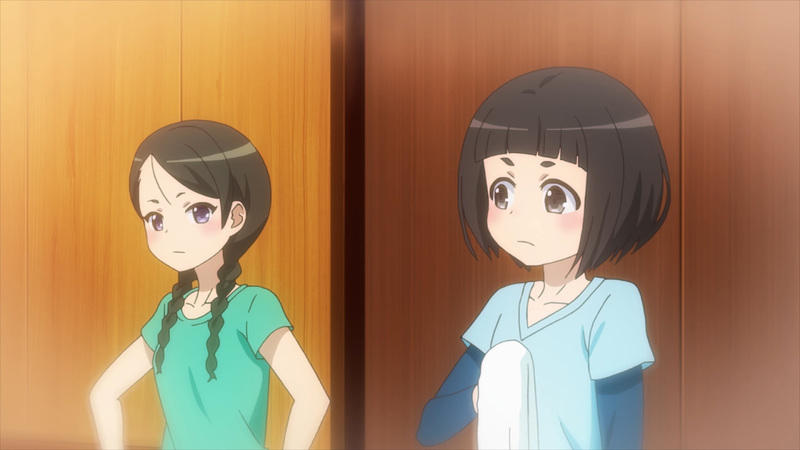 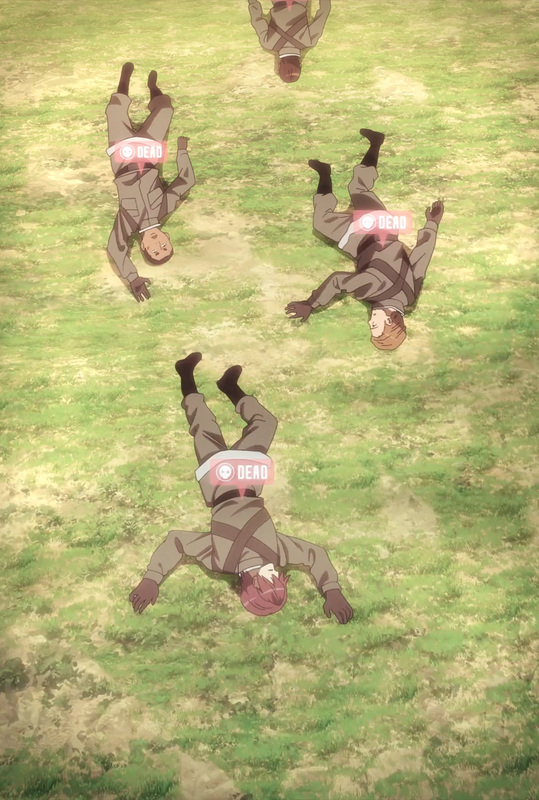 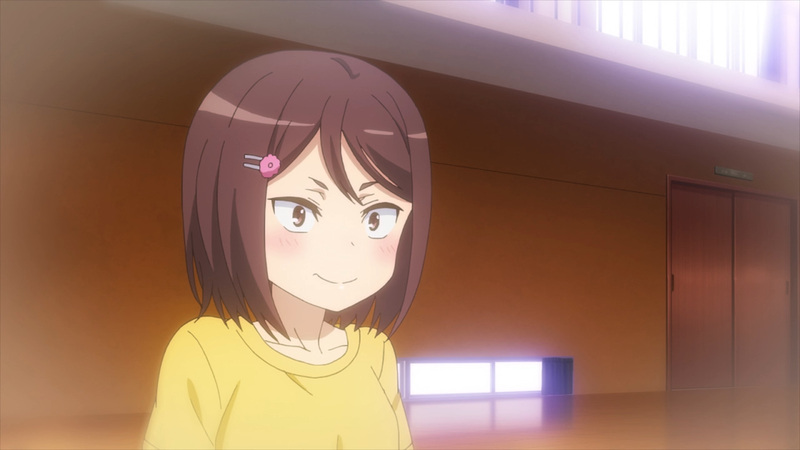 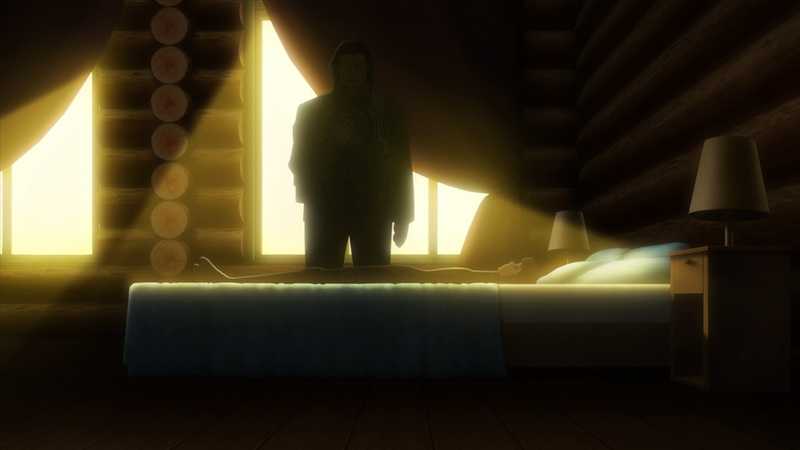 Saki’s sudden arrival has pushed them off. 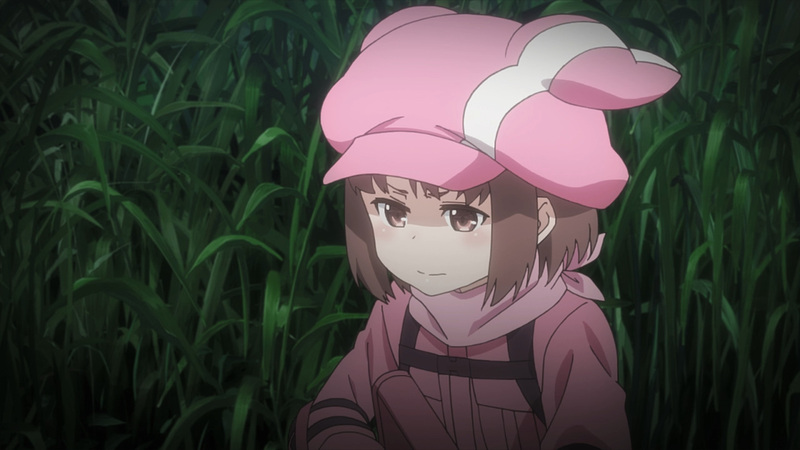 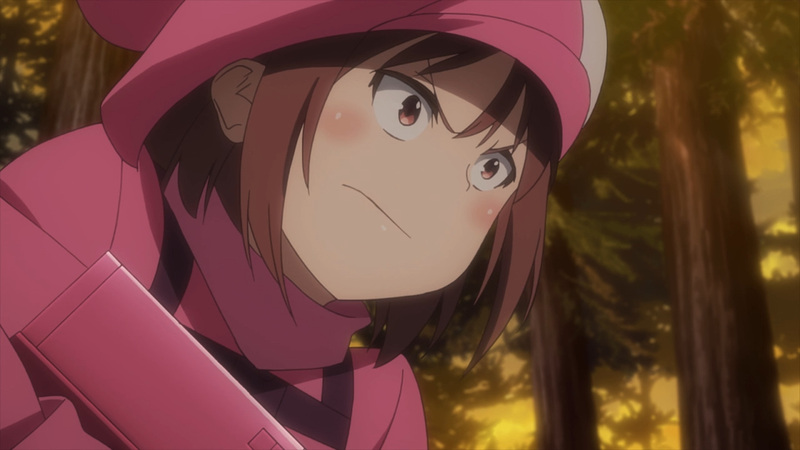 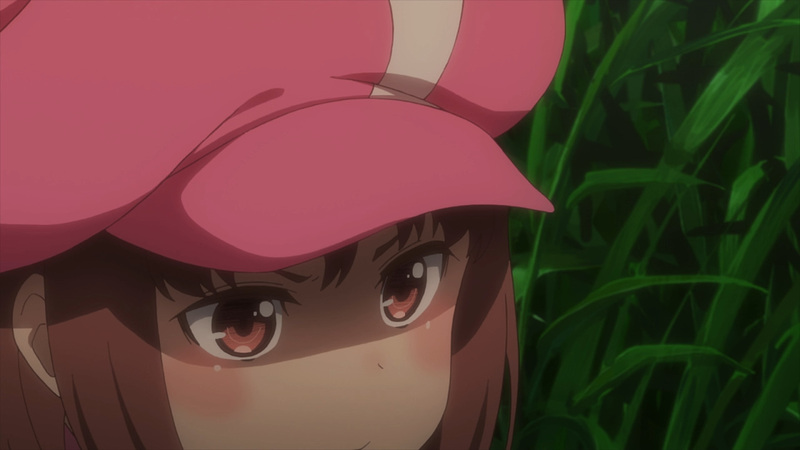 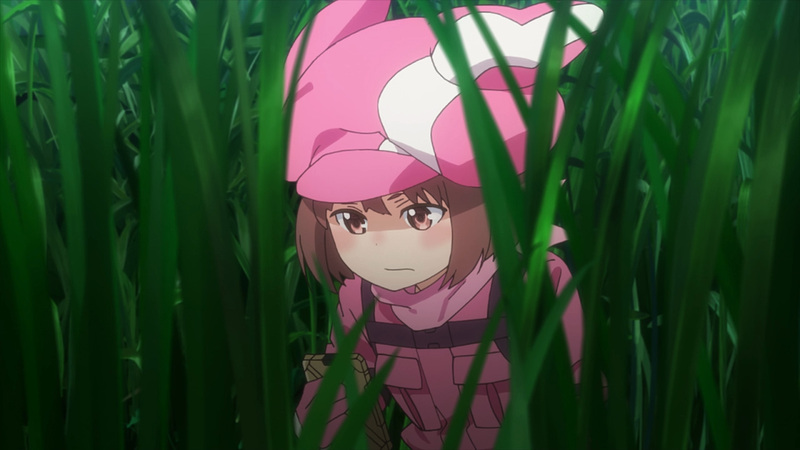 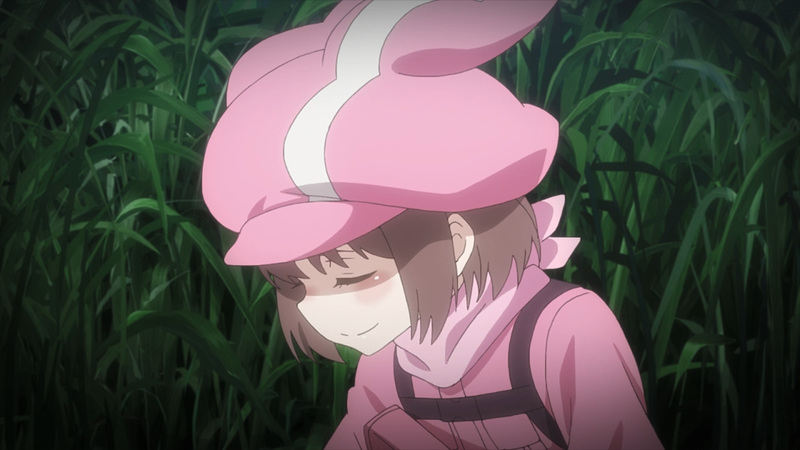 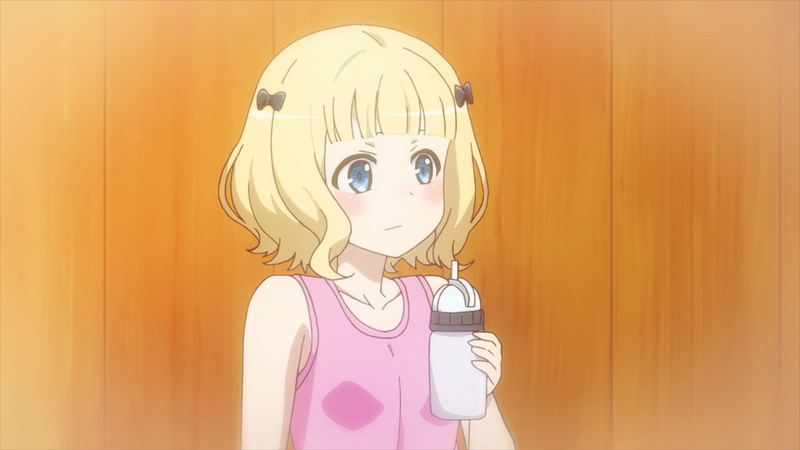 She has come to have a round with LLENN, but as we know she’s only in this game for one reason. 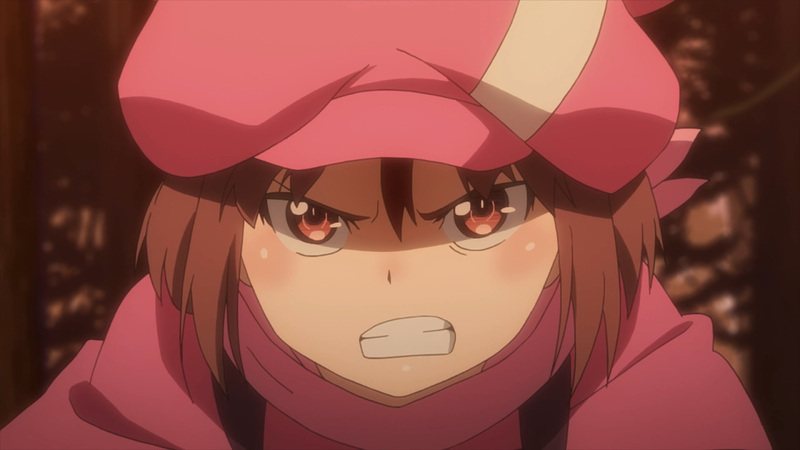 Seeing how troubled LLENN was, Saki wants in on the action. 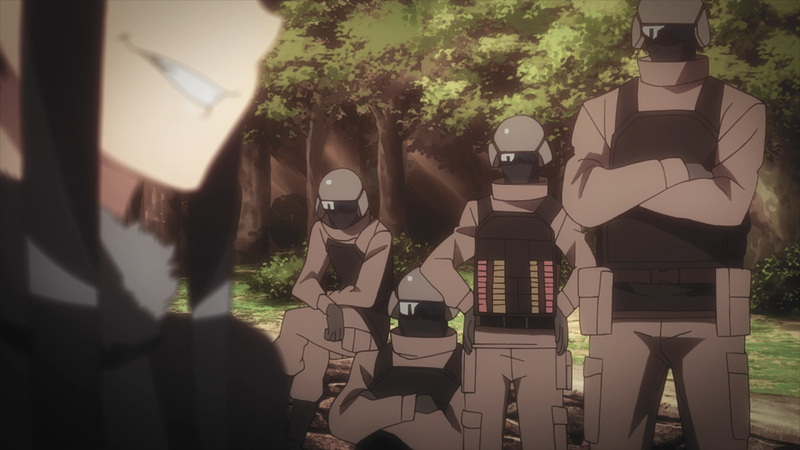 Team SHINC will be assisting in team PM4 take down. 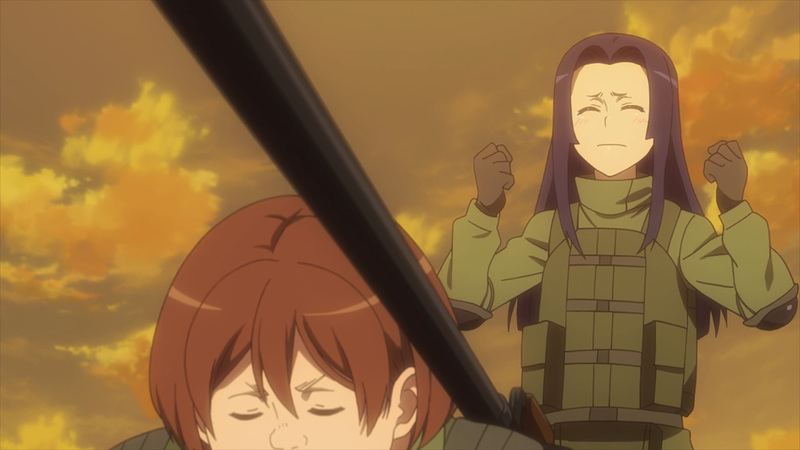 Now, Saki and the girls have spent quite some time figuring out how to counter M’s shield. 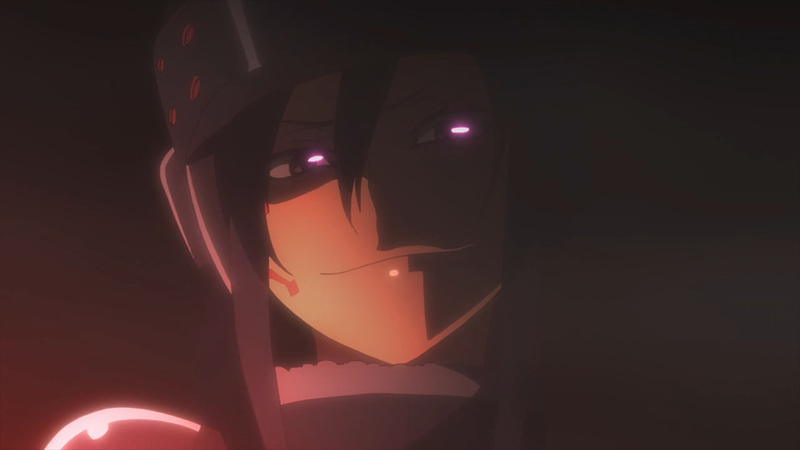 It will take sacrificing a comrade, yet the results proved worth it. 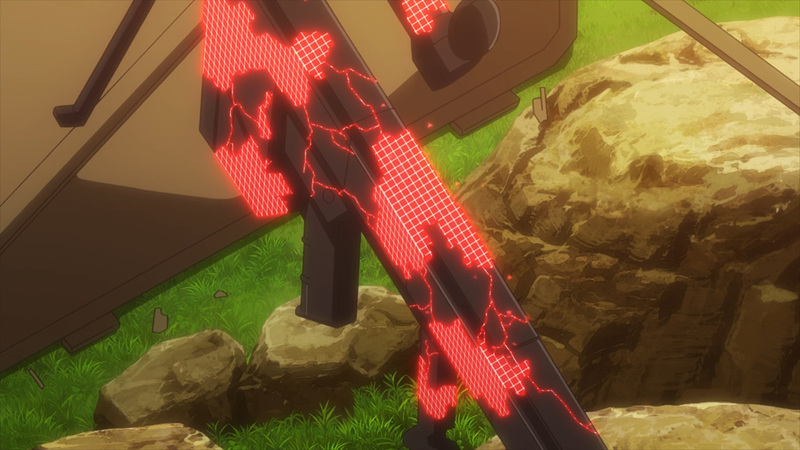 The impenetrable M has fallen back. 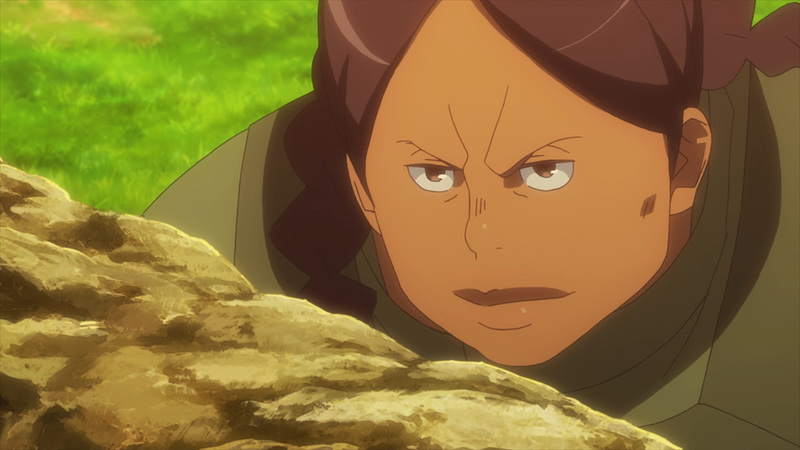 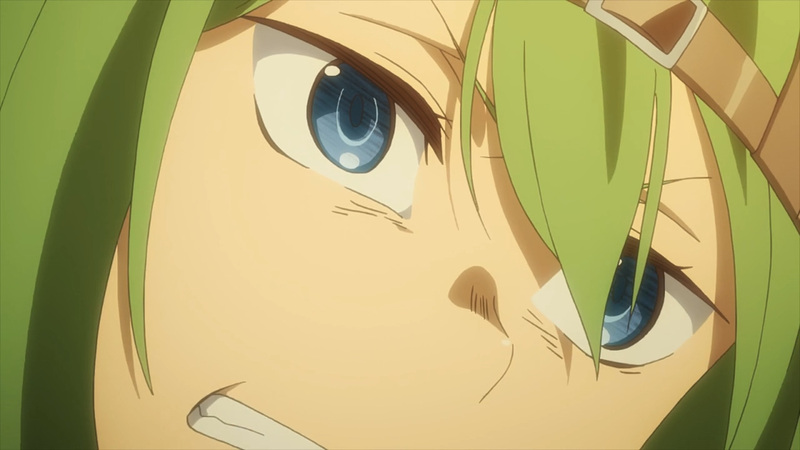 Moreover, Pito’s spiteful ways came back to bite her. 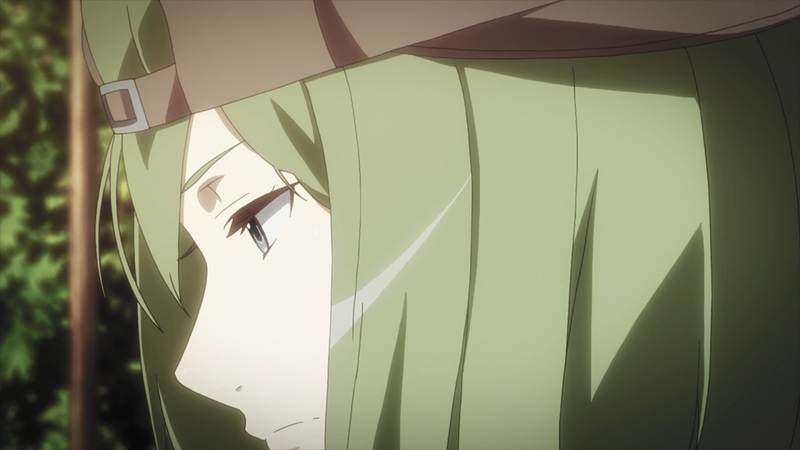 Earlier on she broke an agreement with another team. 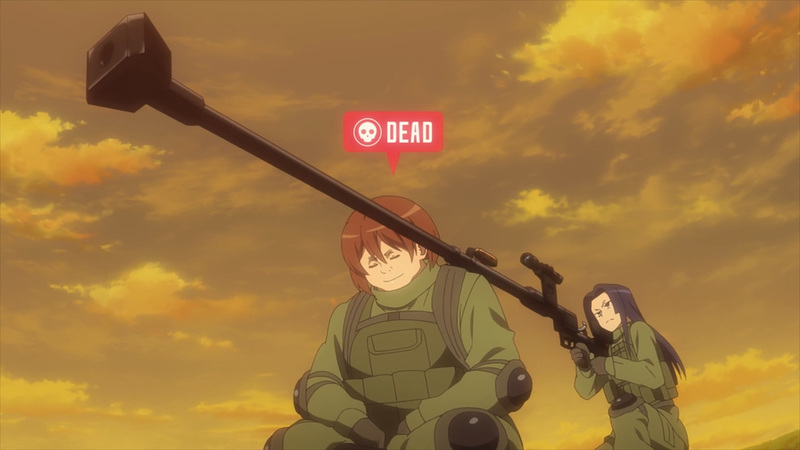 Killing all but one almost lost her this game. 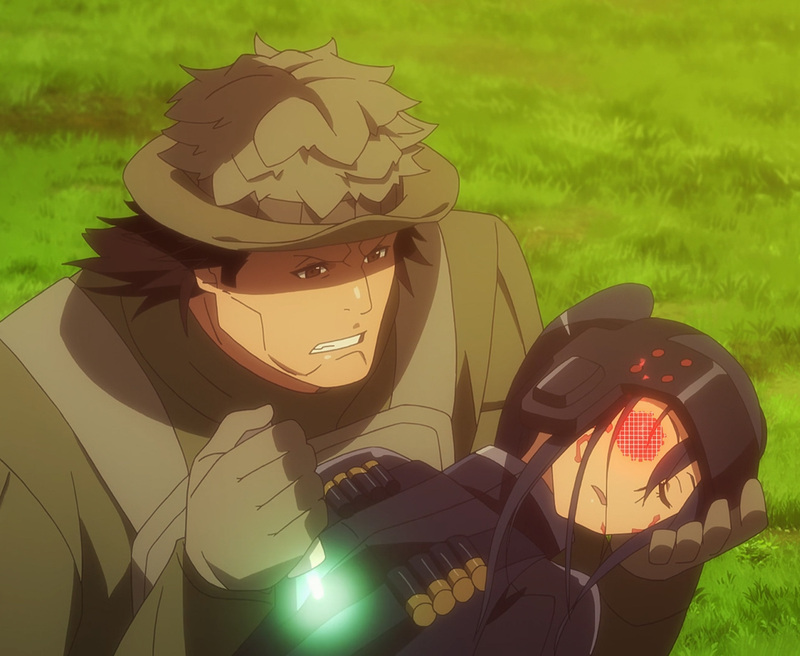 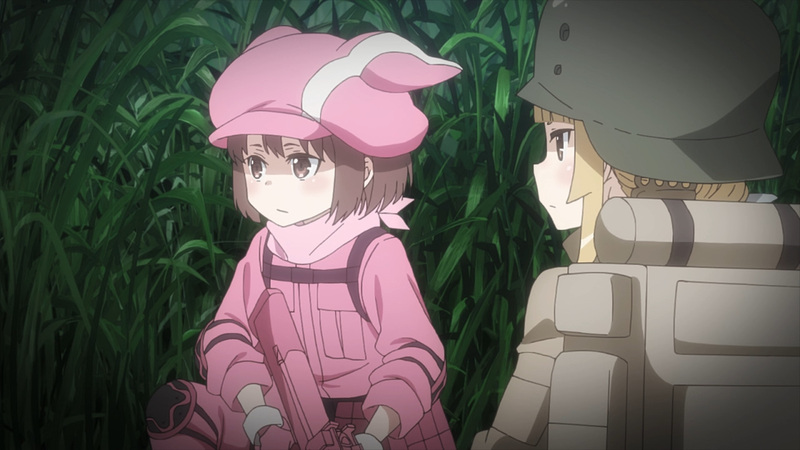 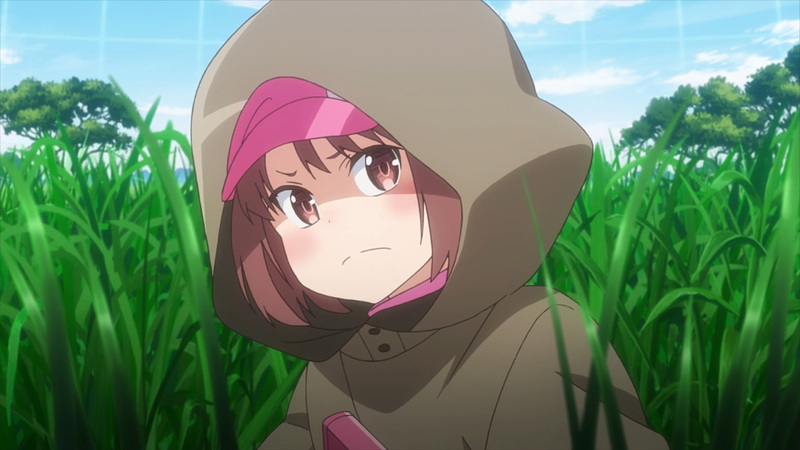 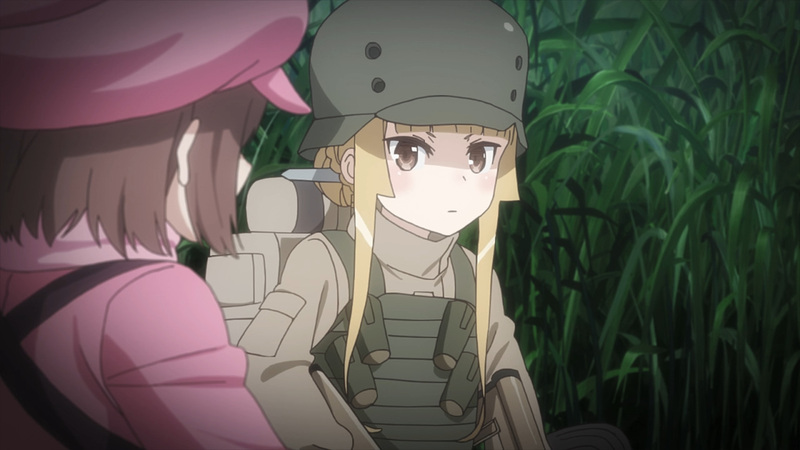 The sole survivor came back with a vengeance, but luckily LLENN was able to take her out. 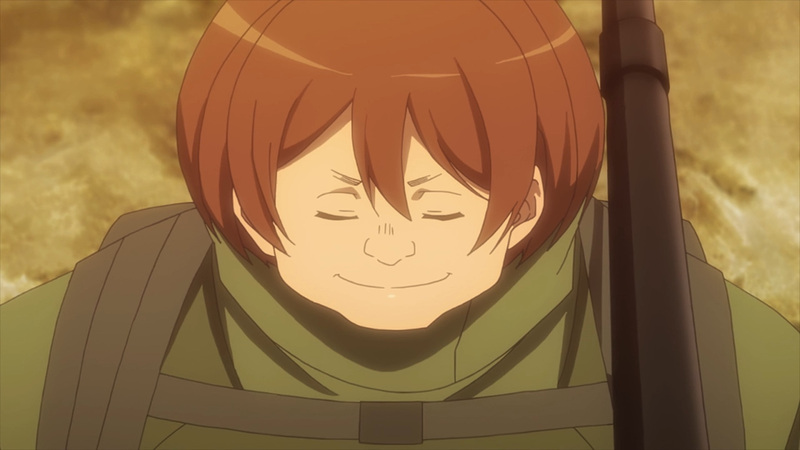 Still, Pito’s ability to live on a prayer has to end sometime. 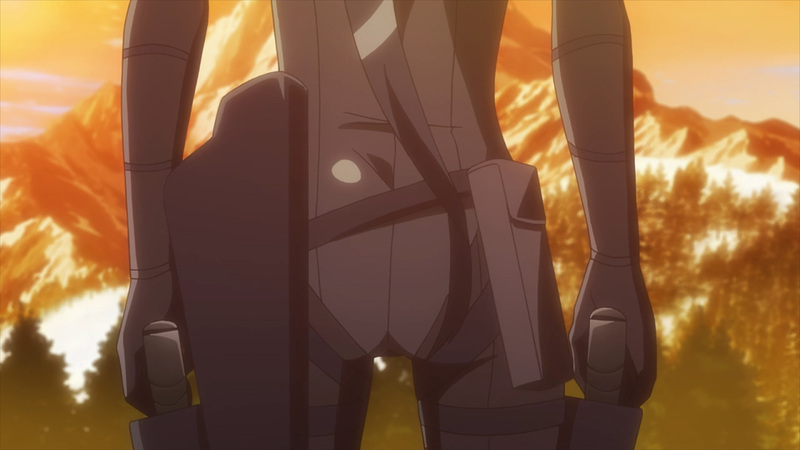 Although she’ll be ending today’s show with quite the bang. 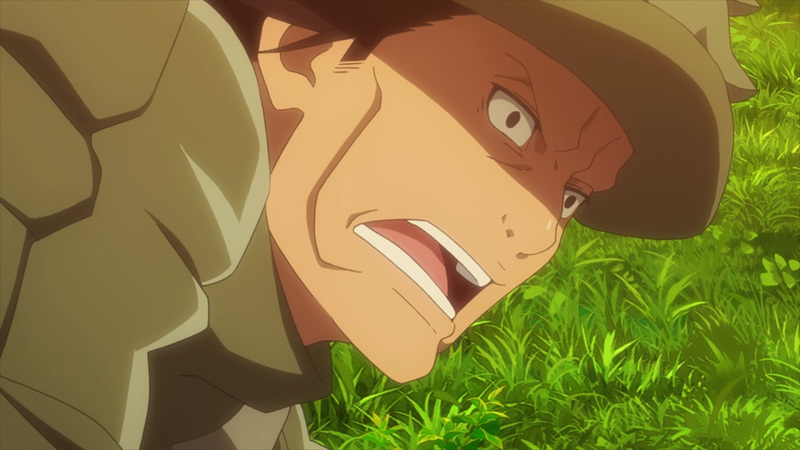 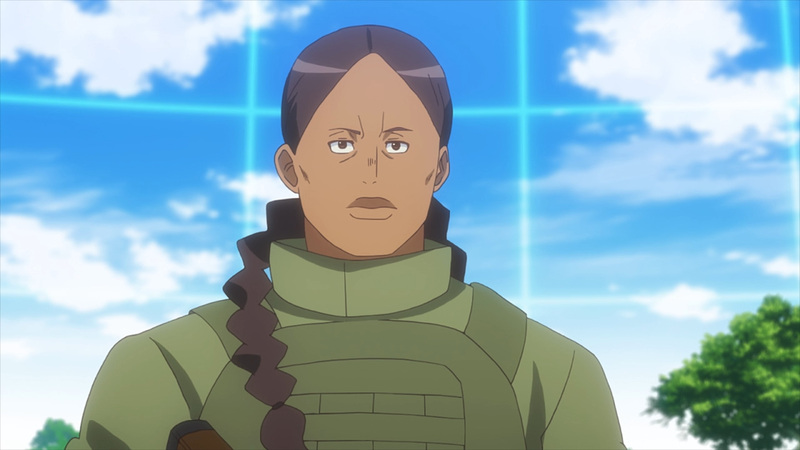 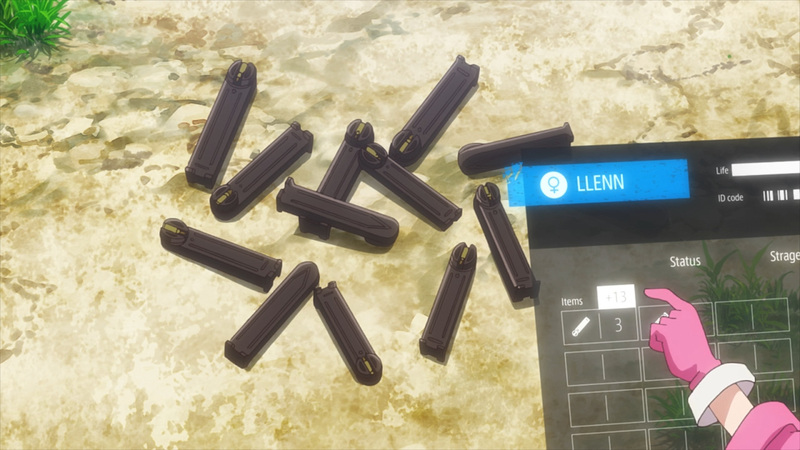 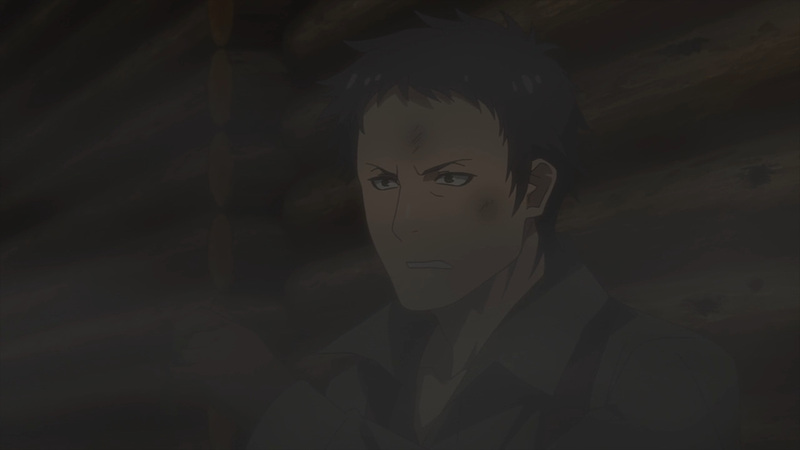 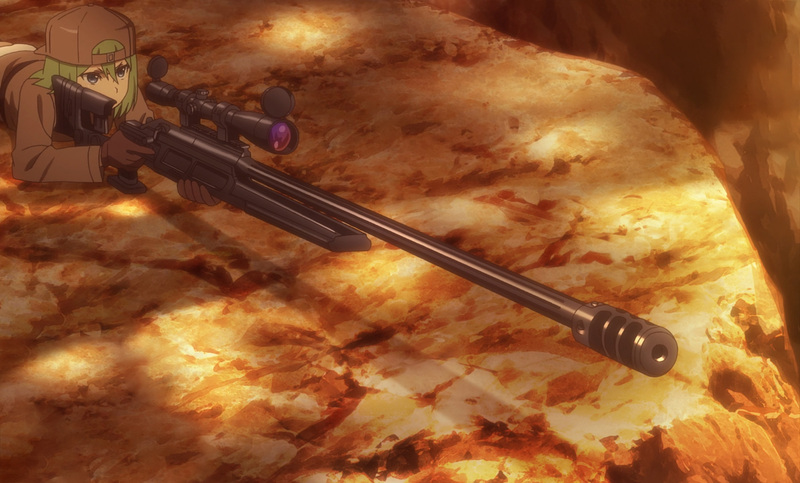 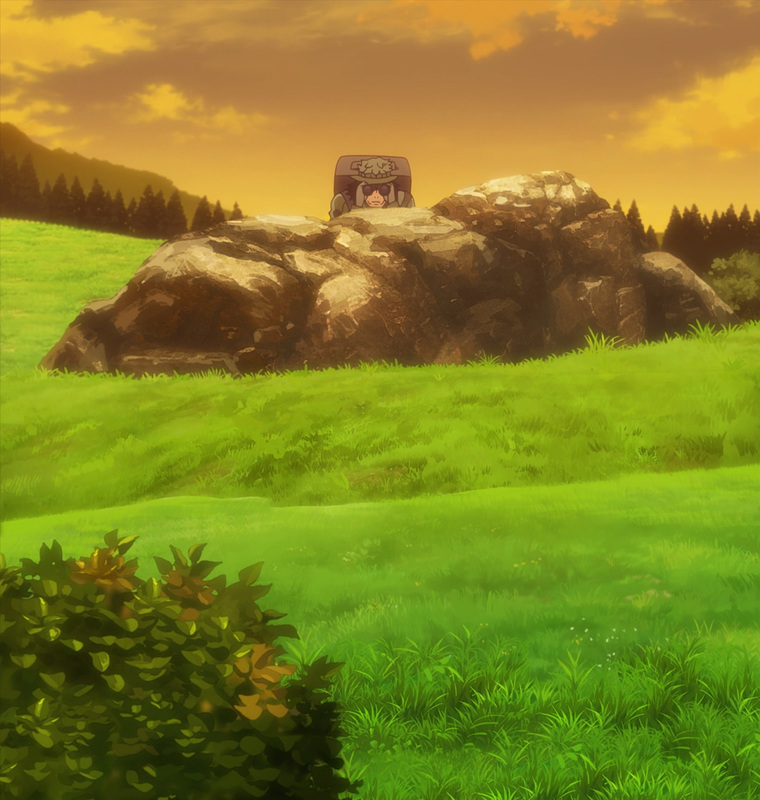 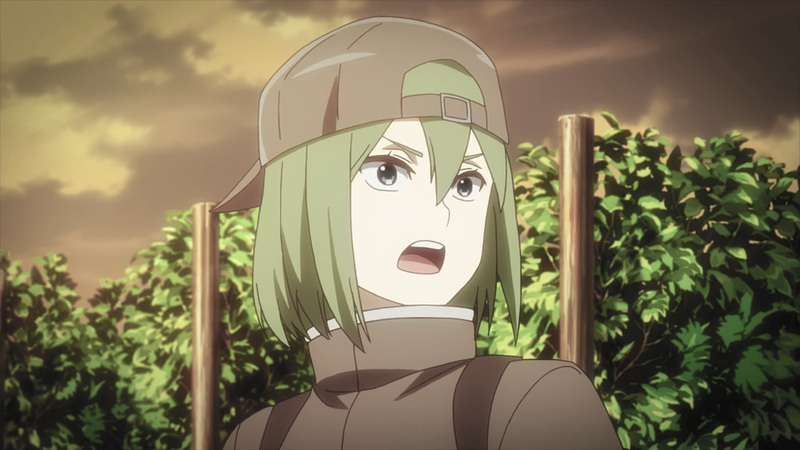 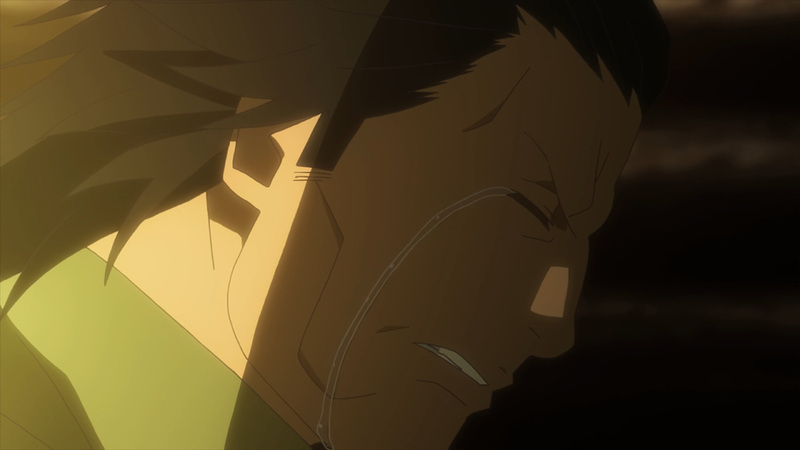 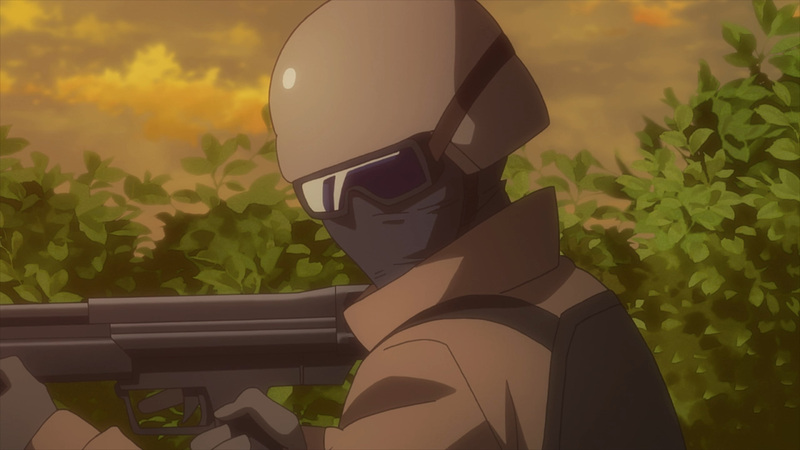 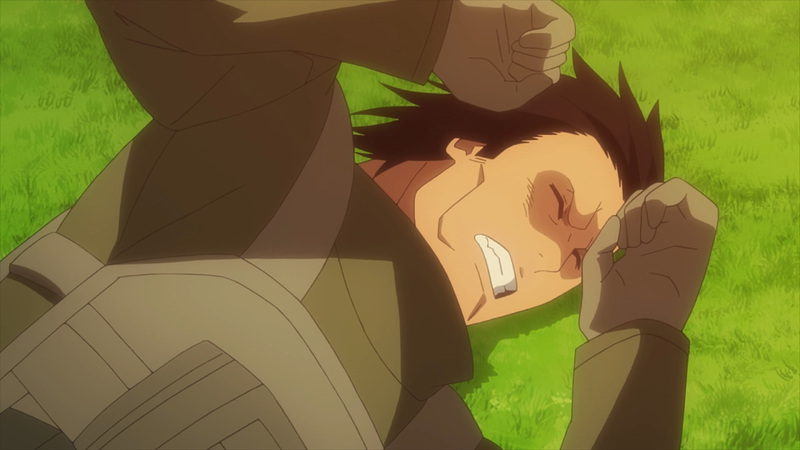 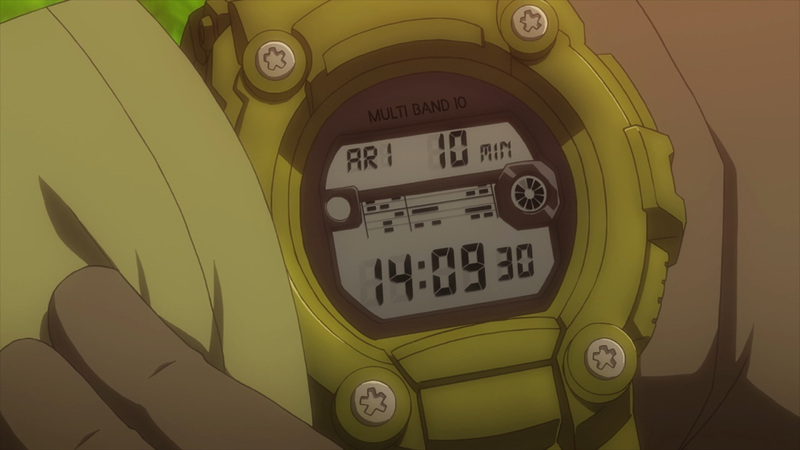 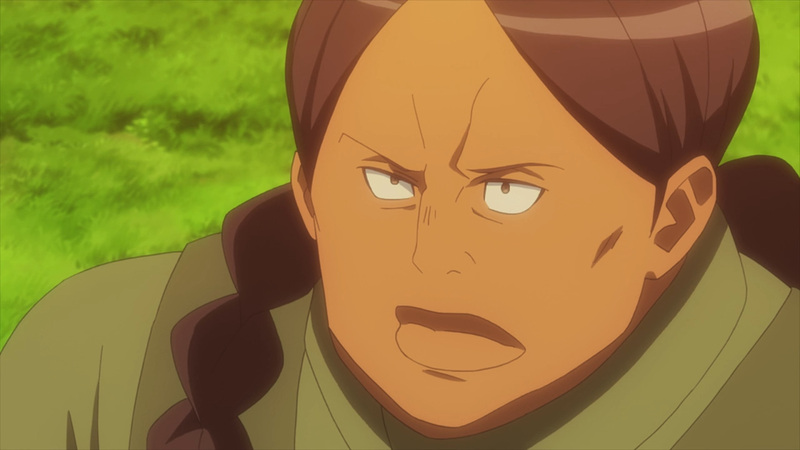 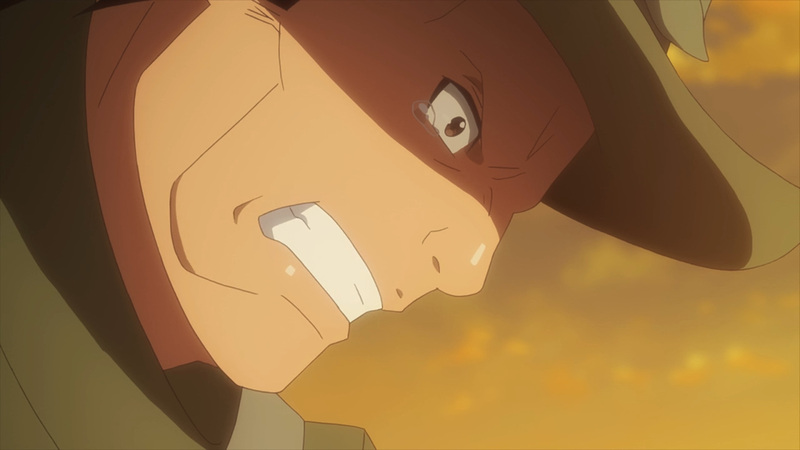 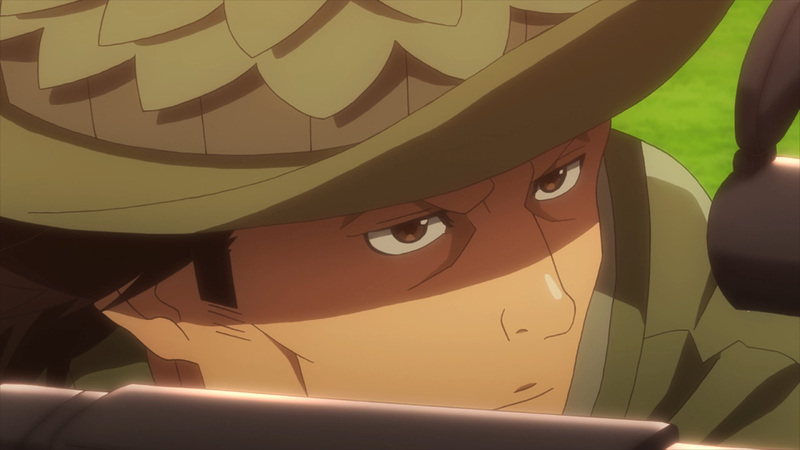 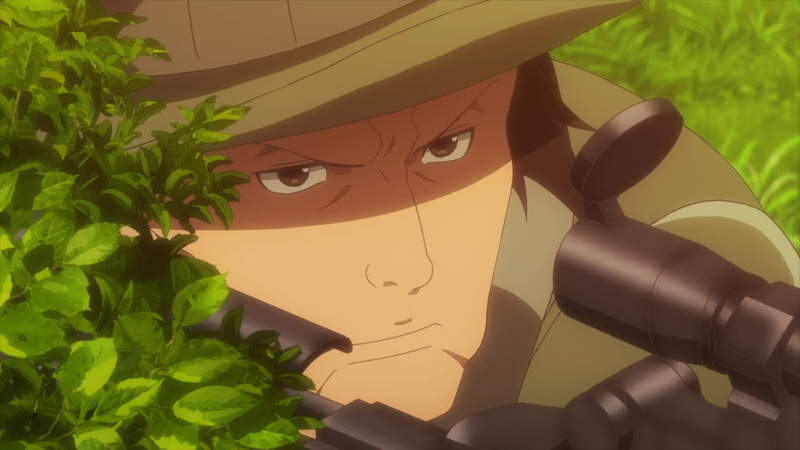 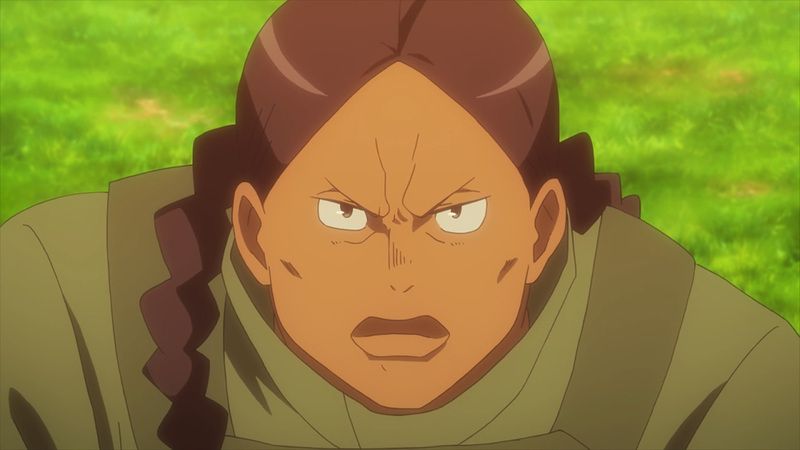 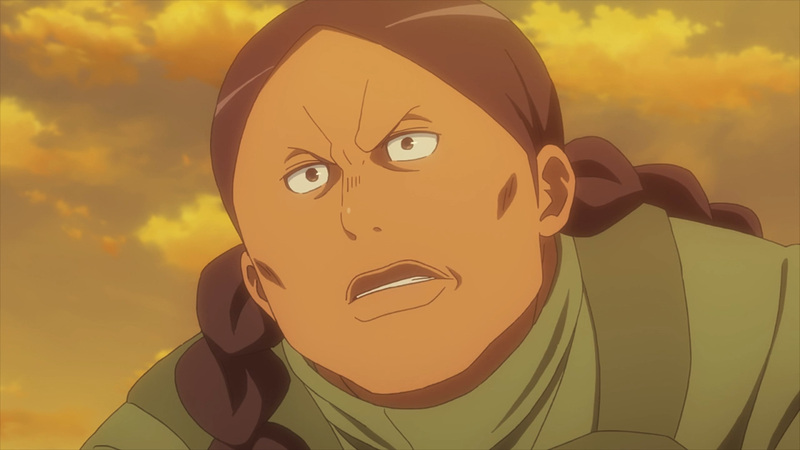 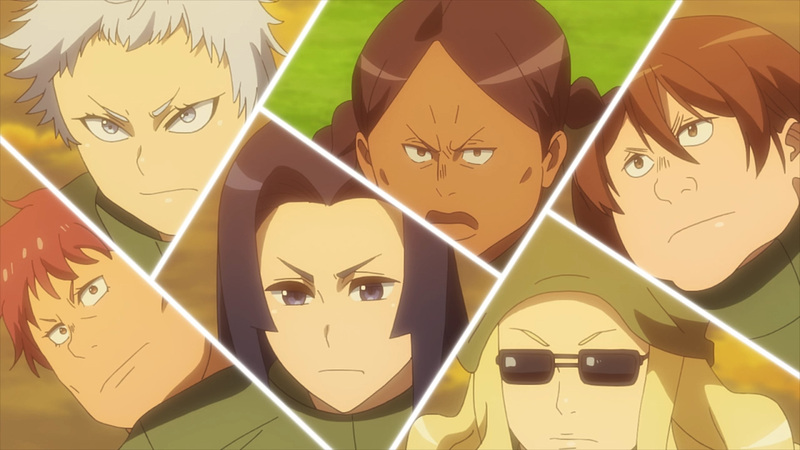 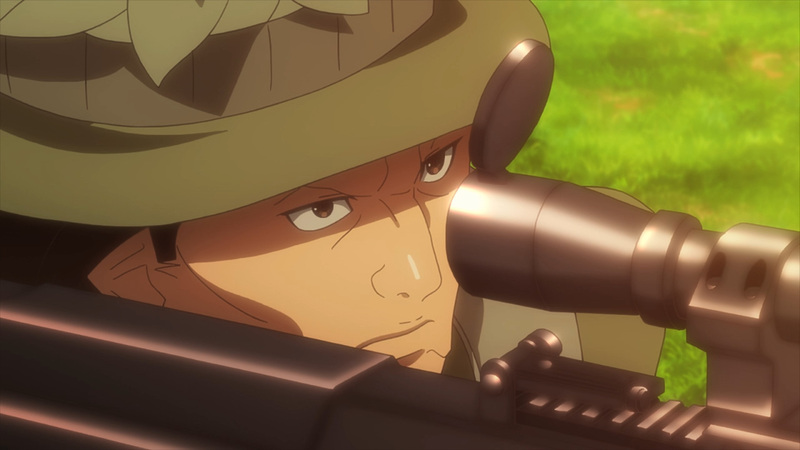 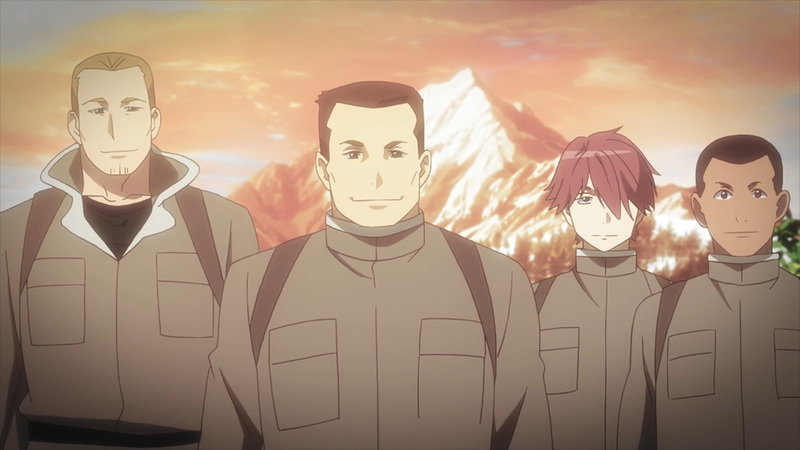 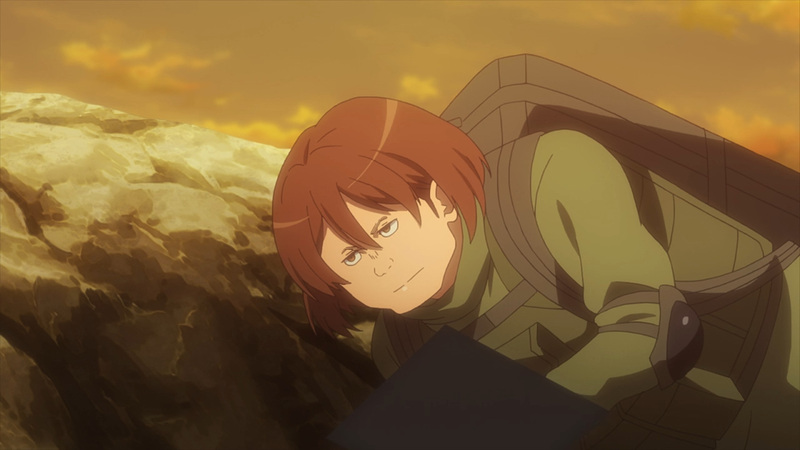 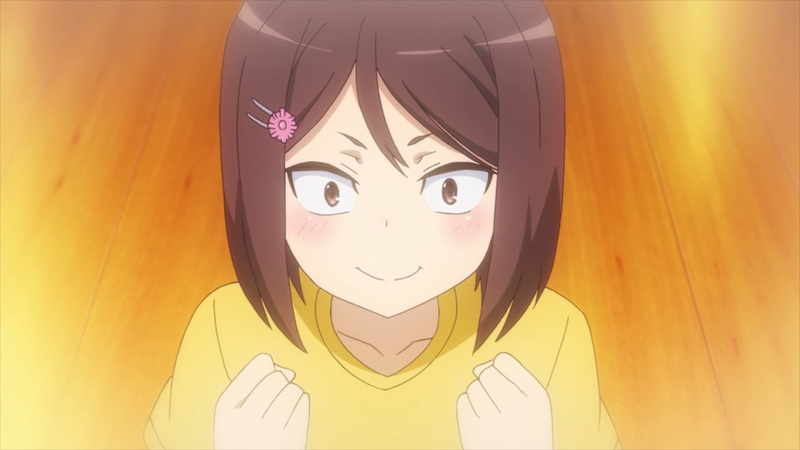 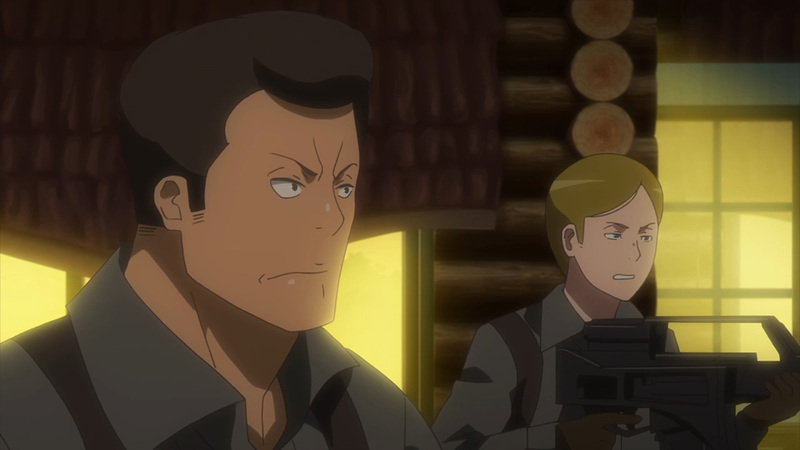 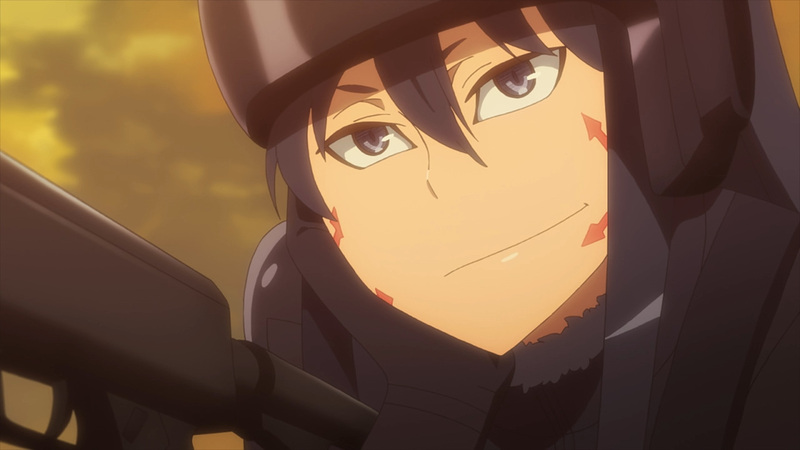 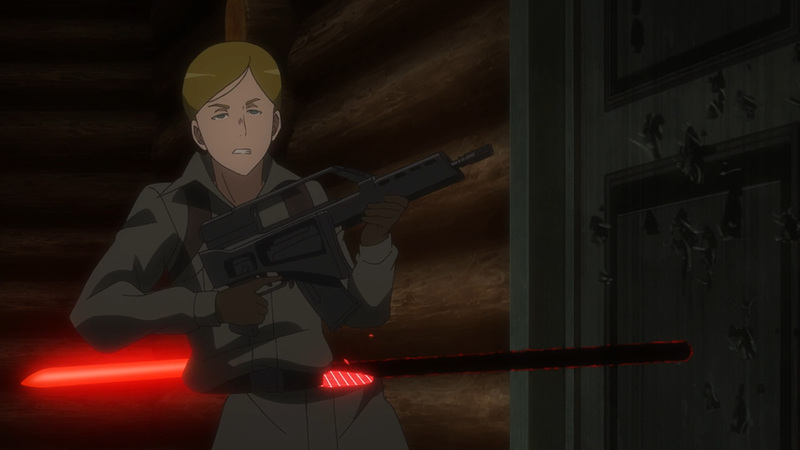 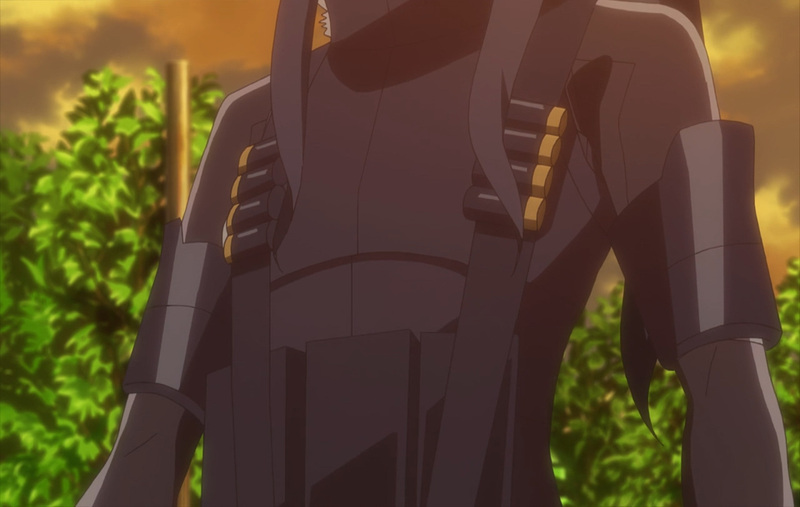 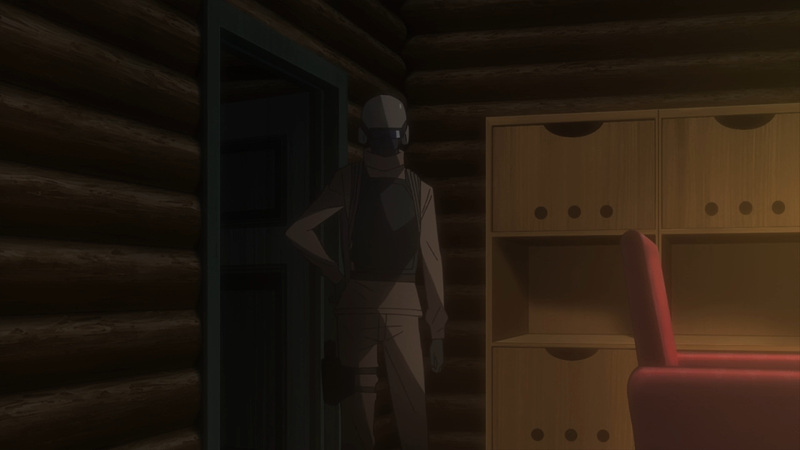 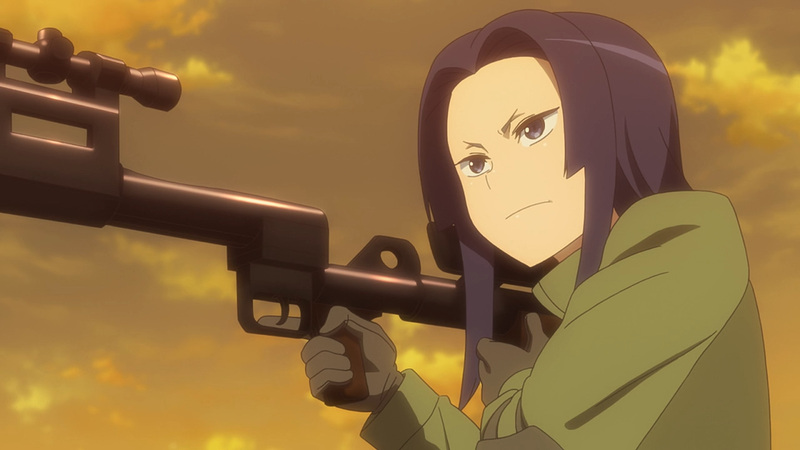 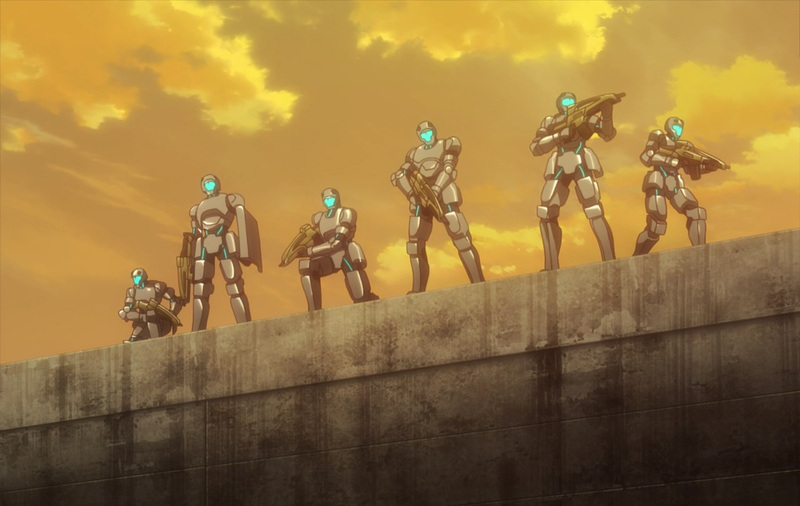 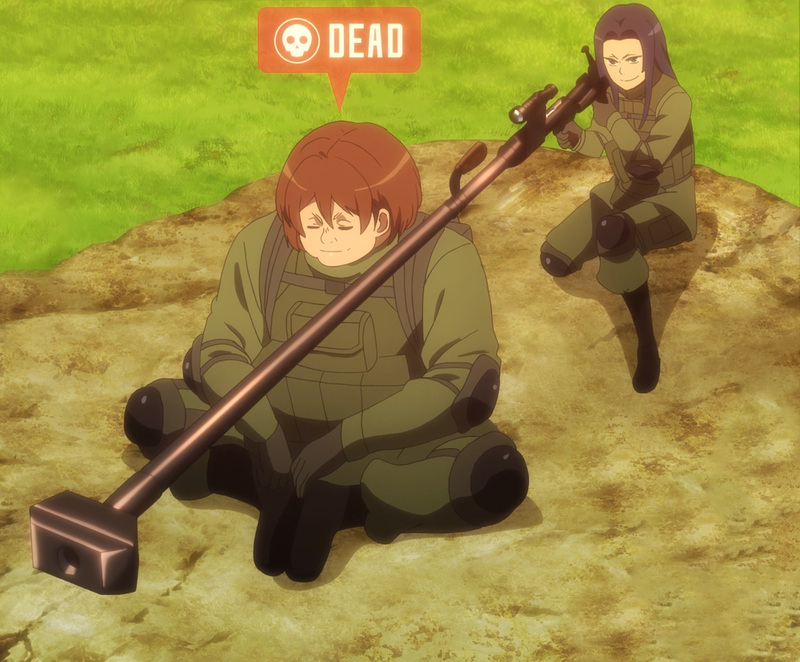 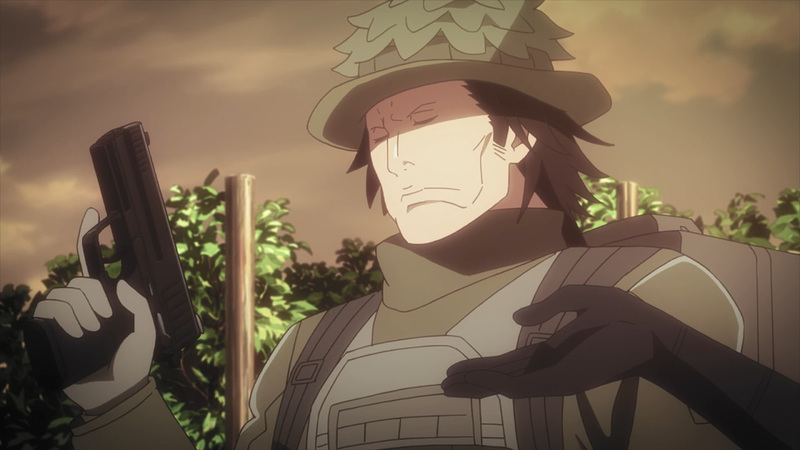 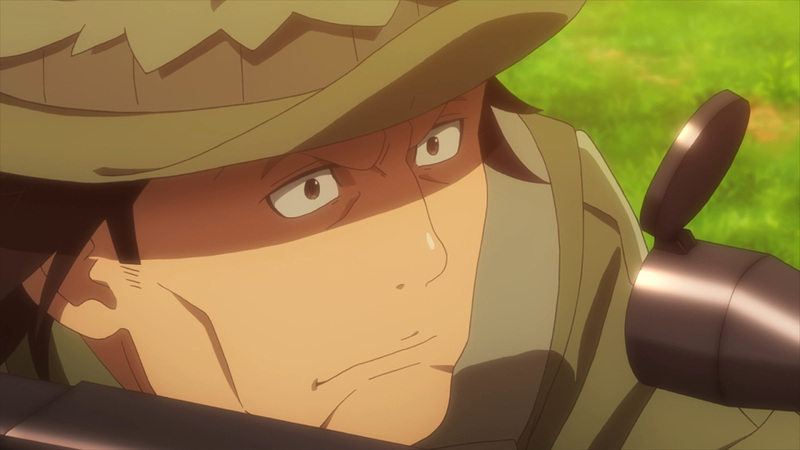 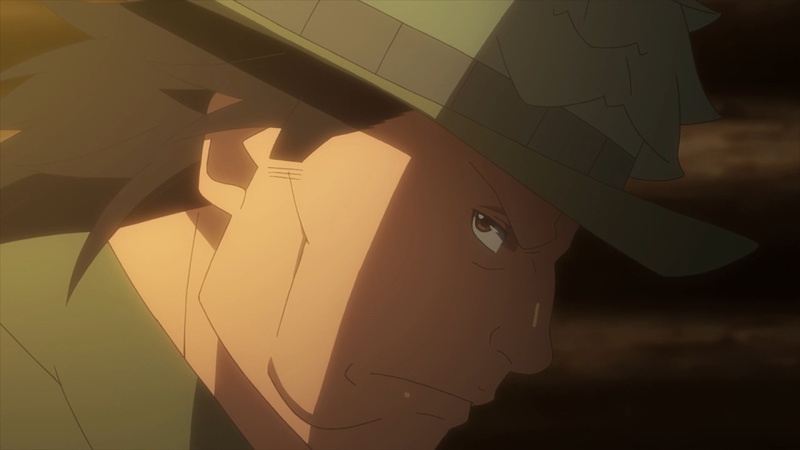 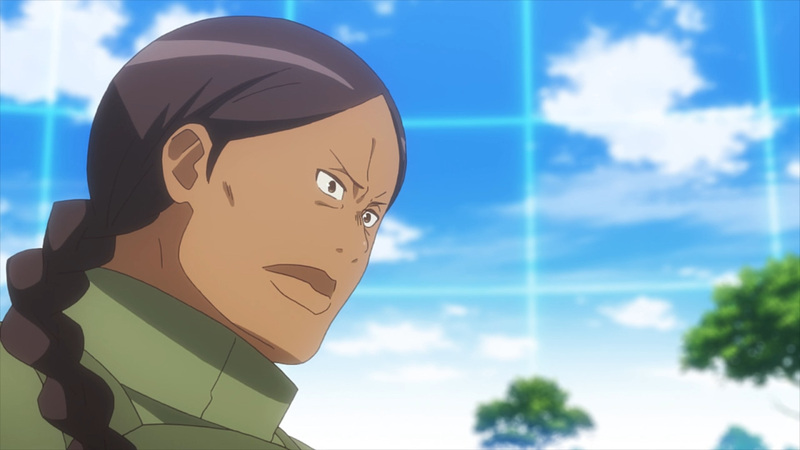 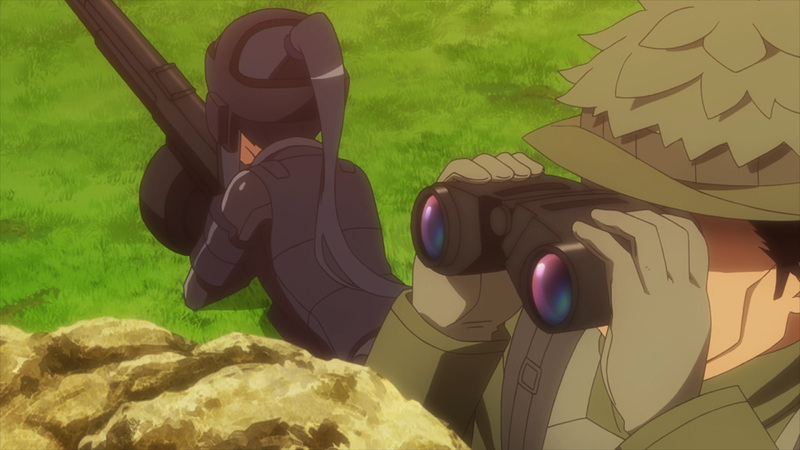 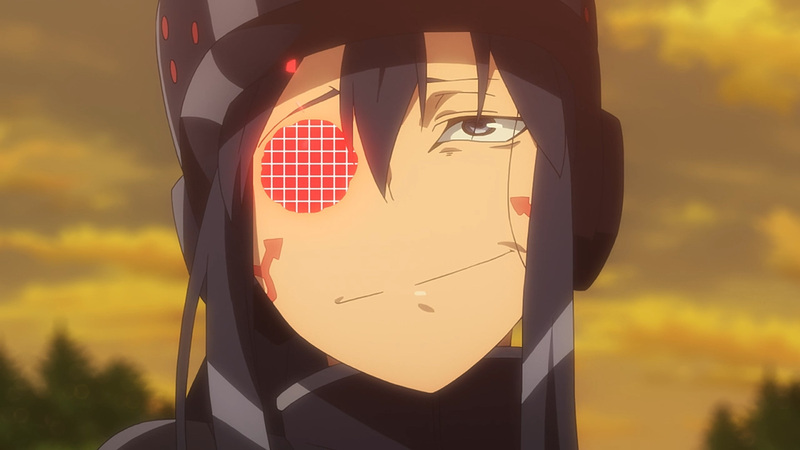 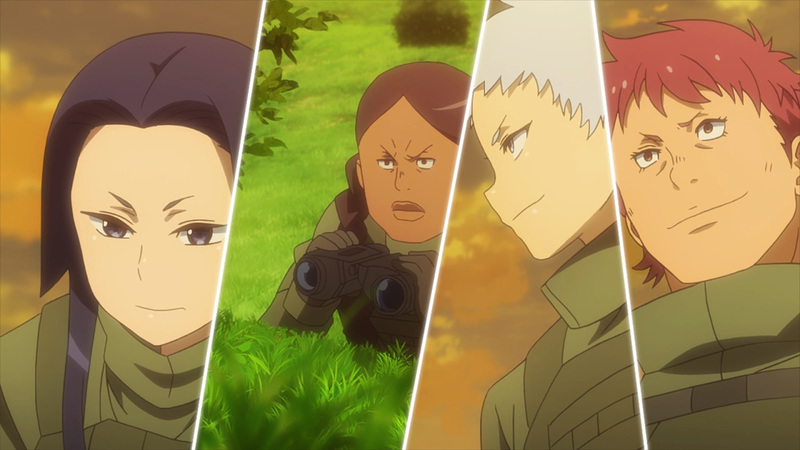 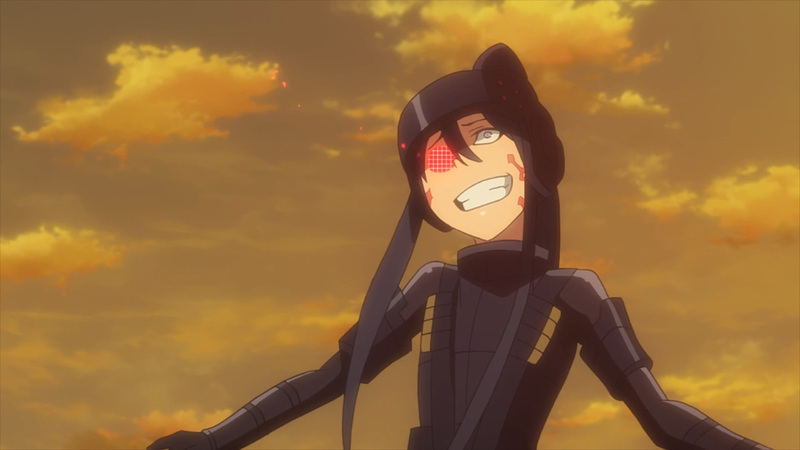 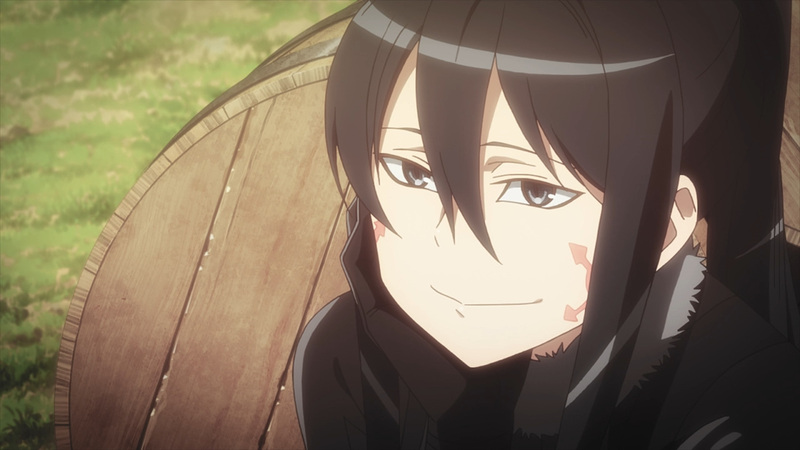 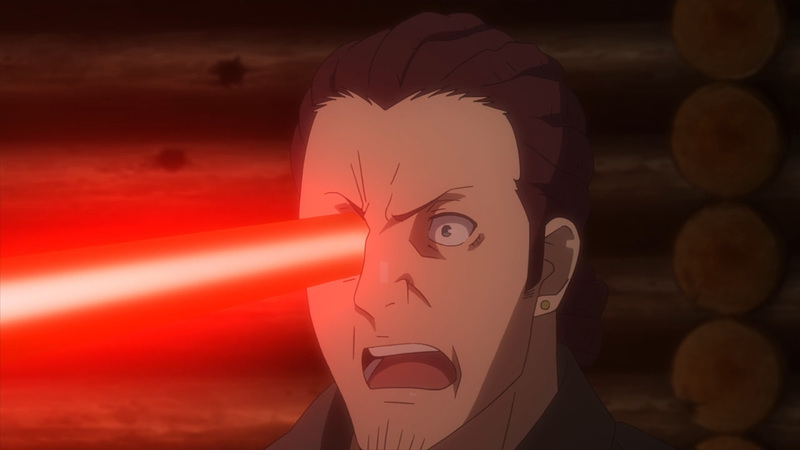 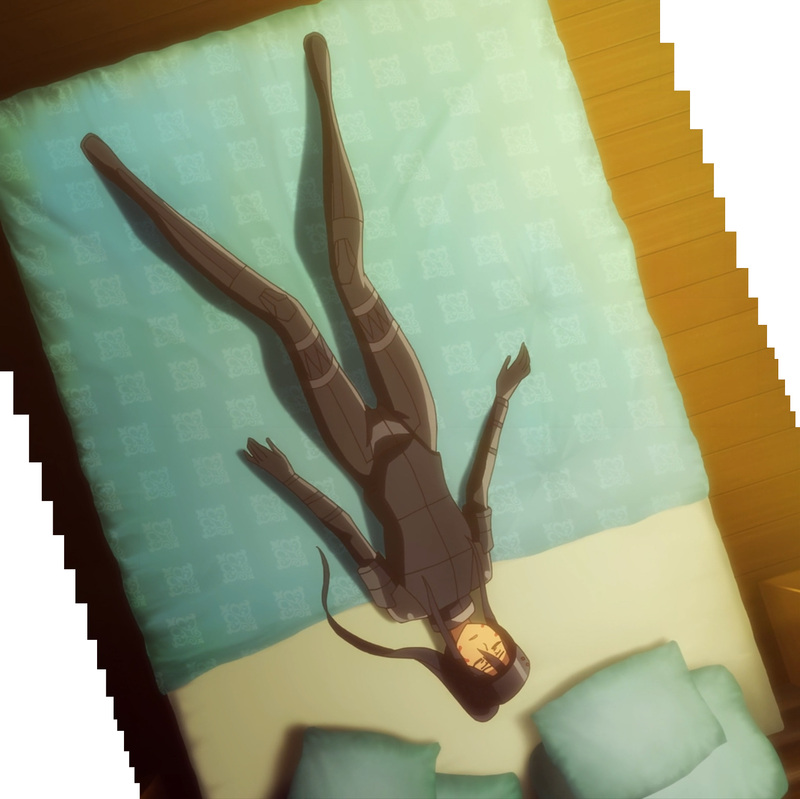 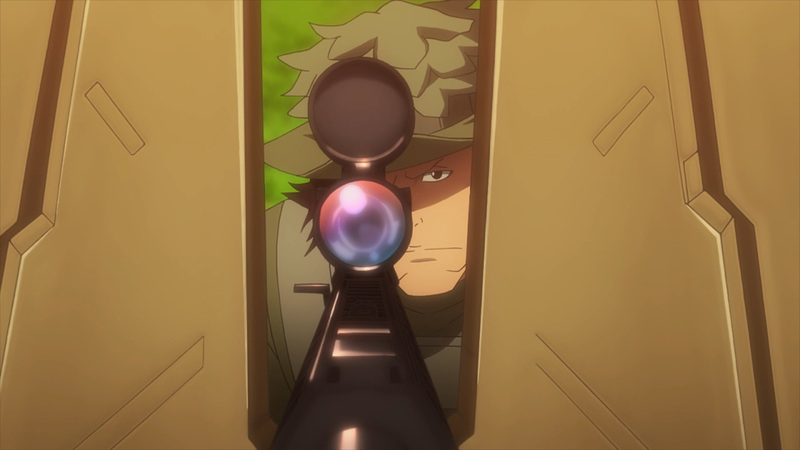 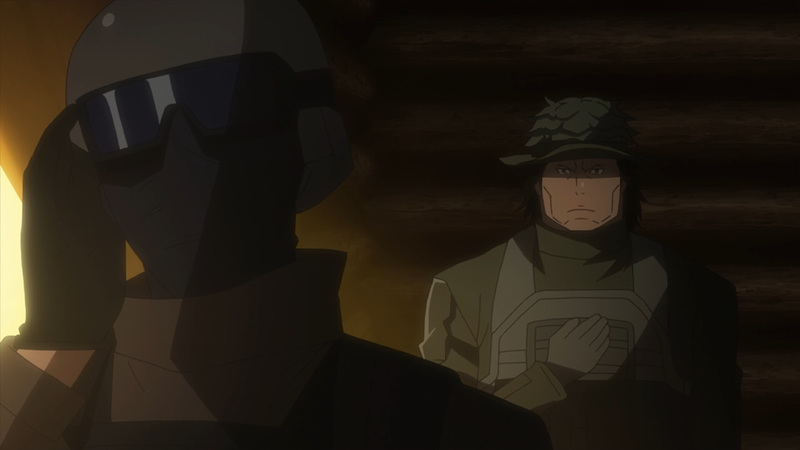 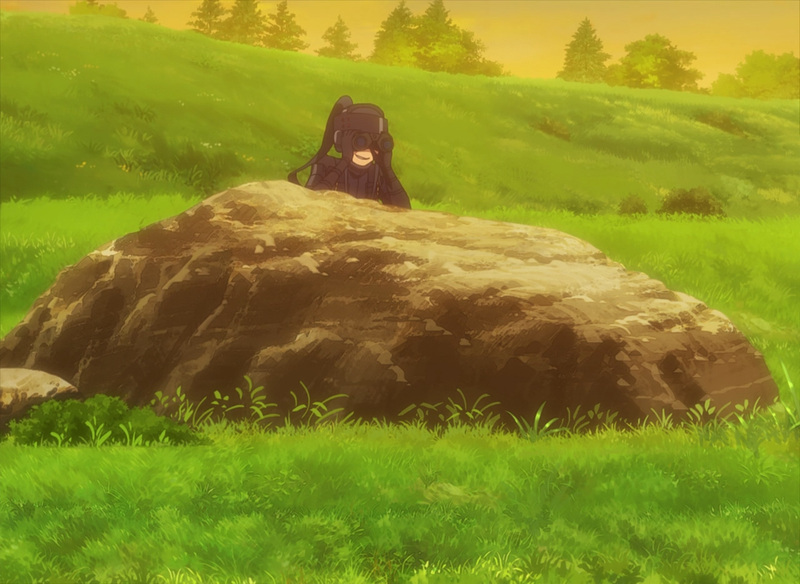 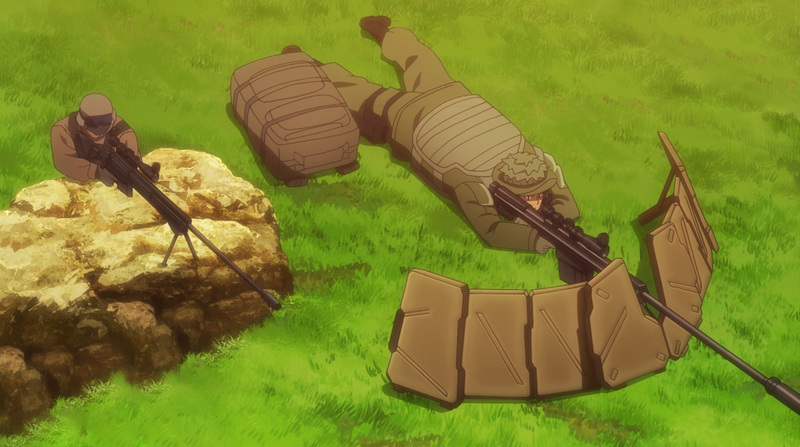 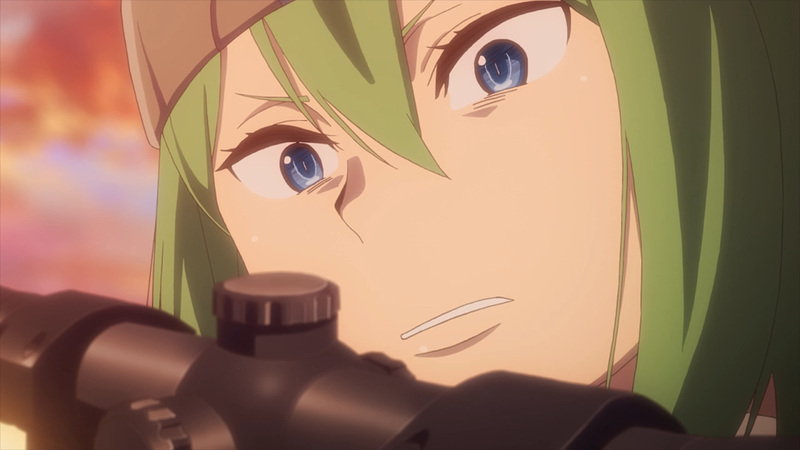 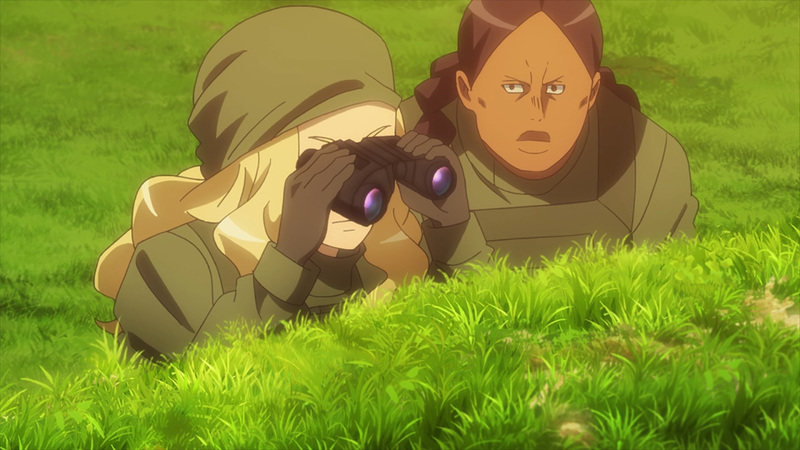 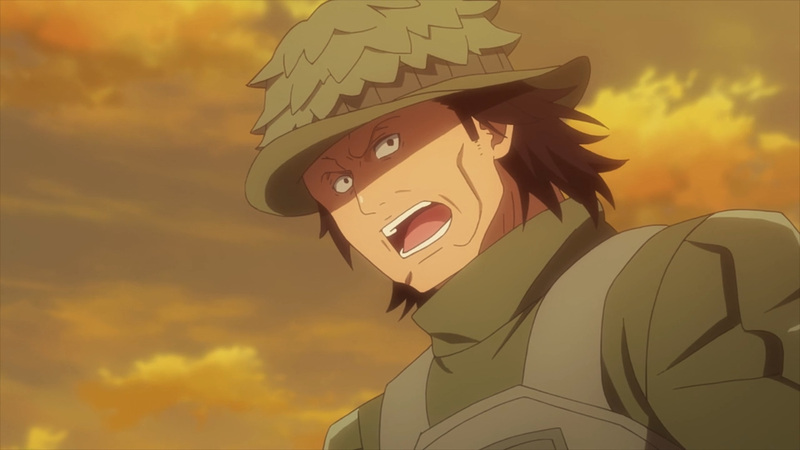 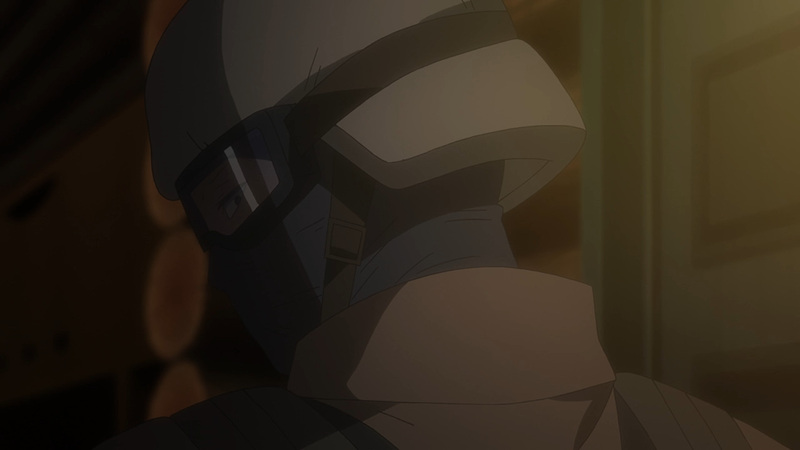 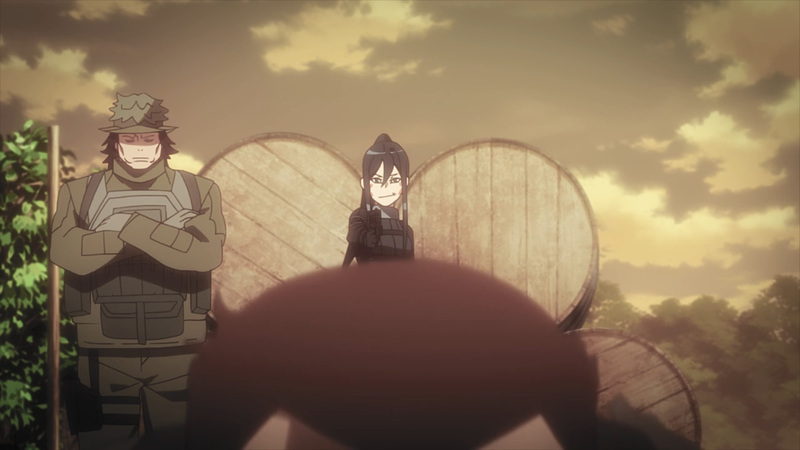 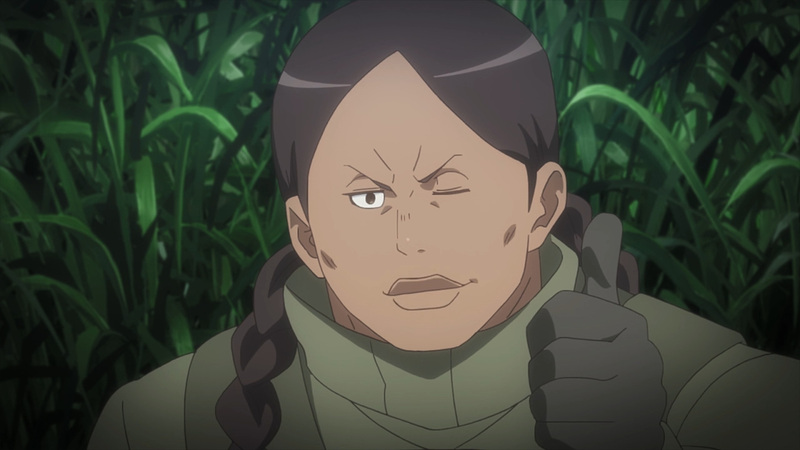 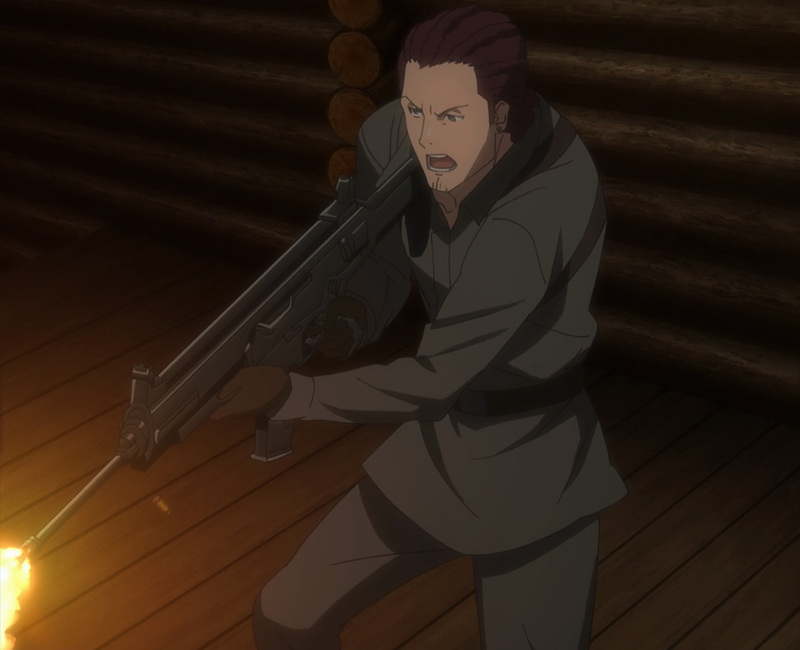 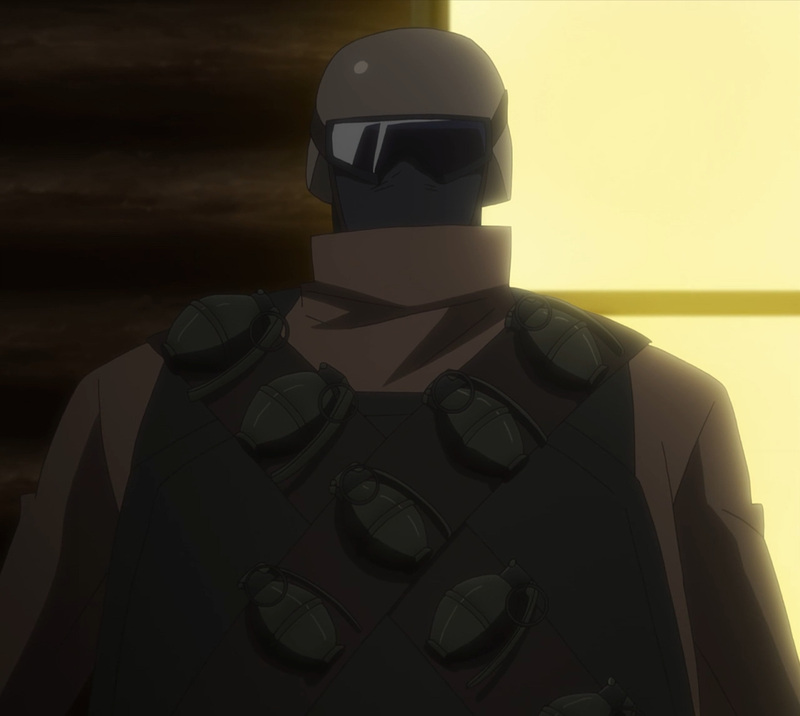 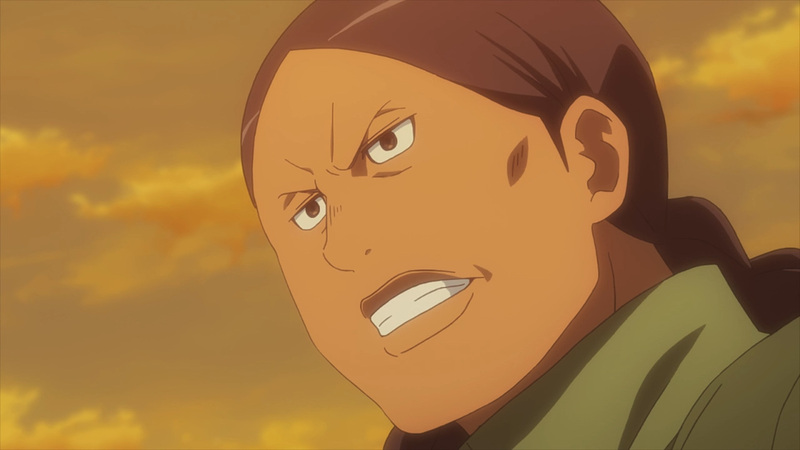 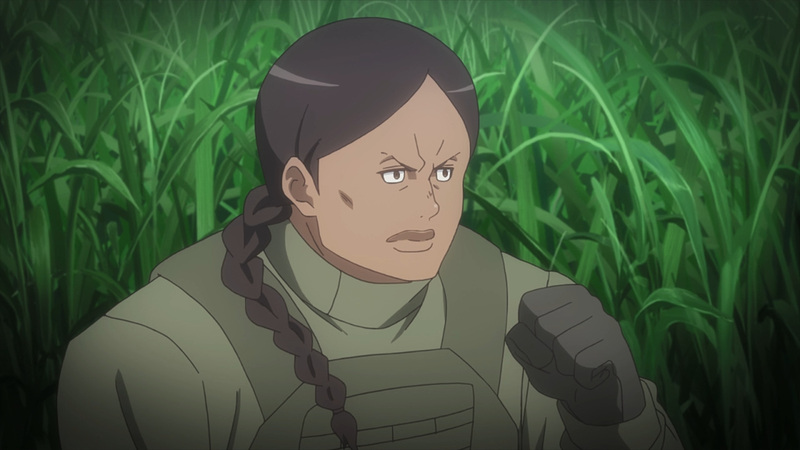 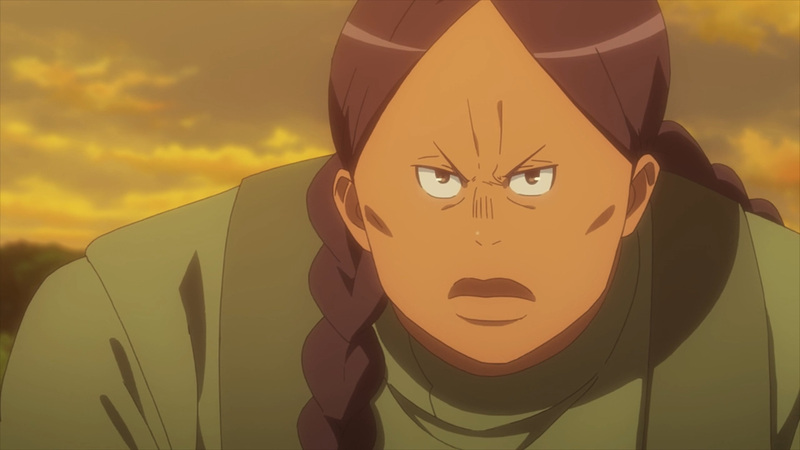 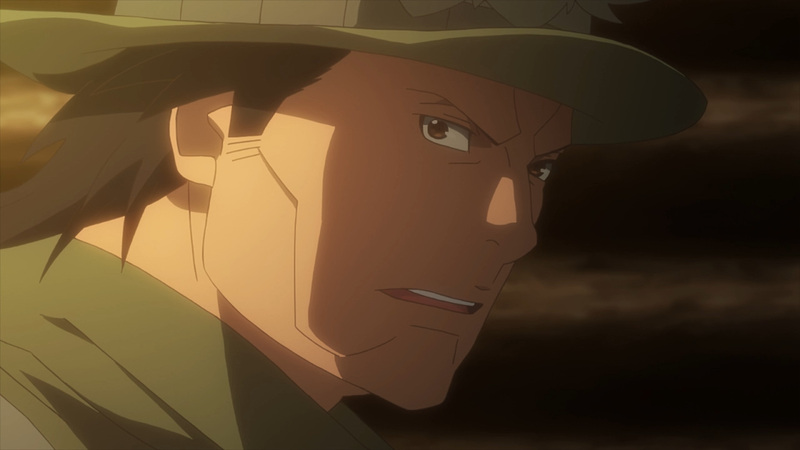 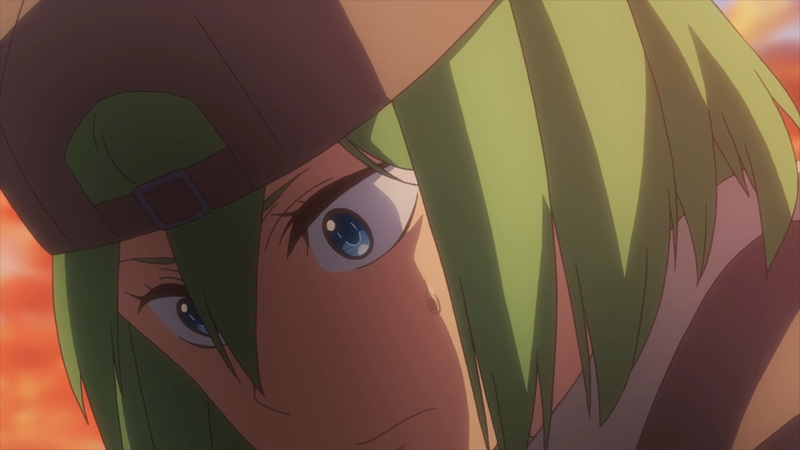 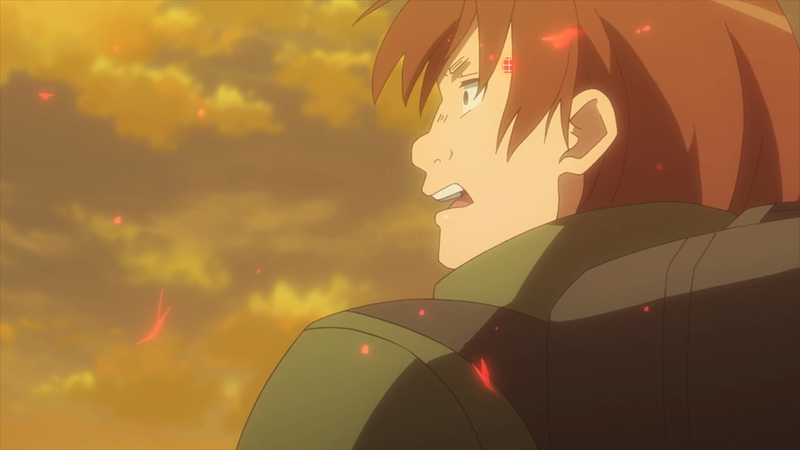 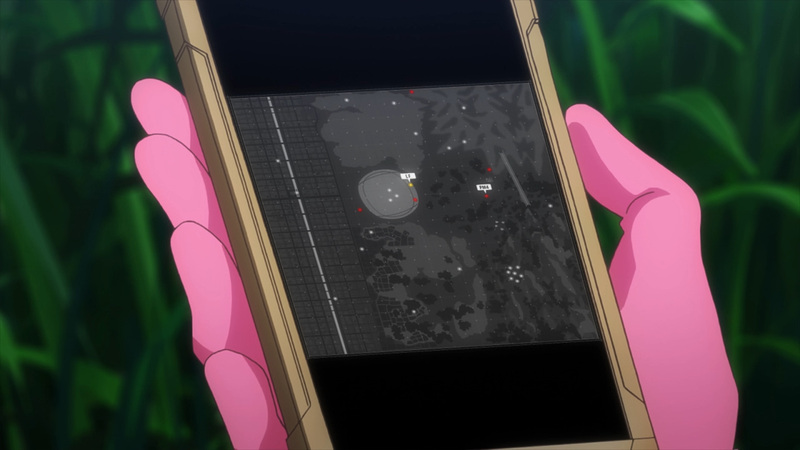 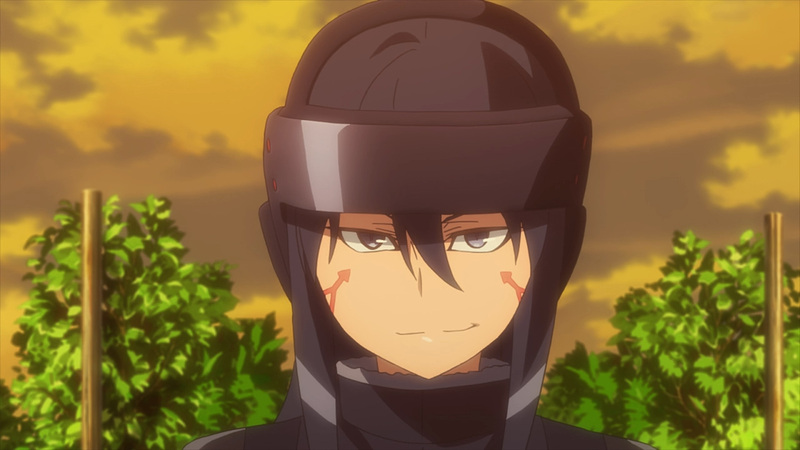 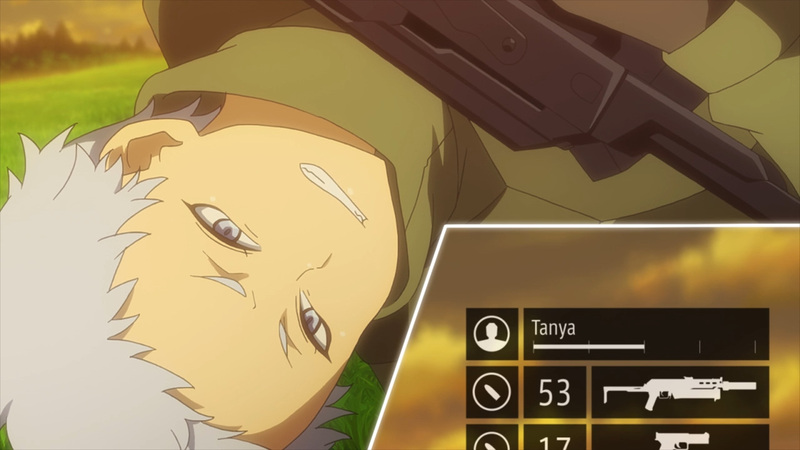 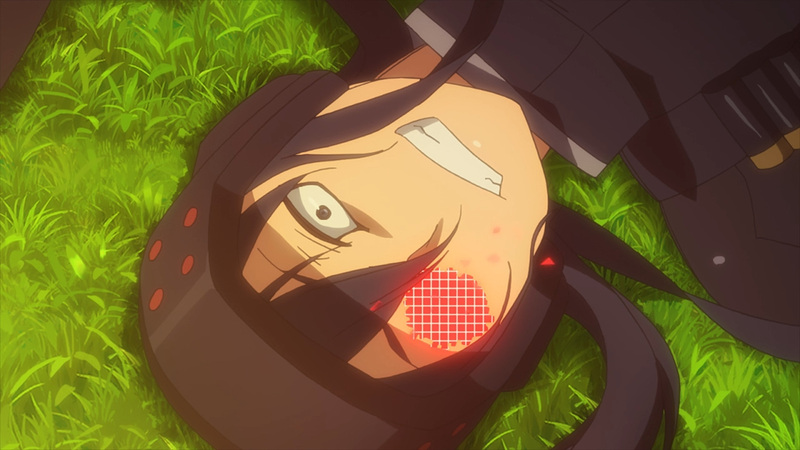 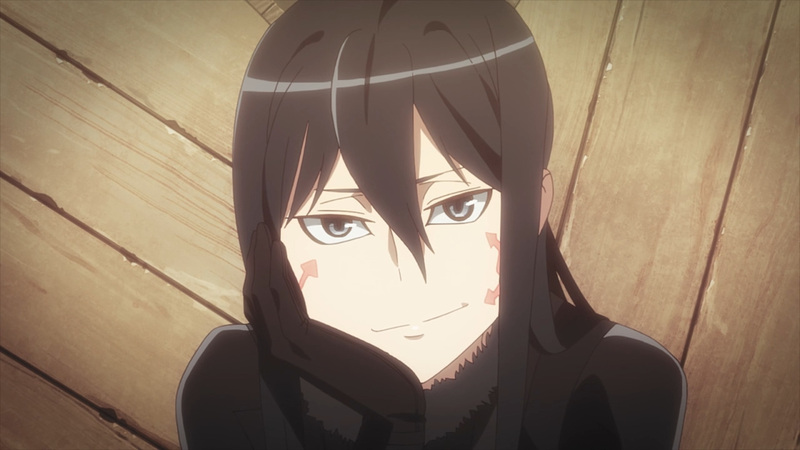 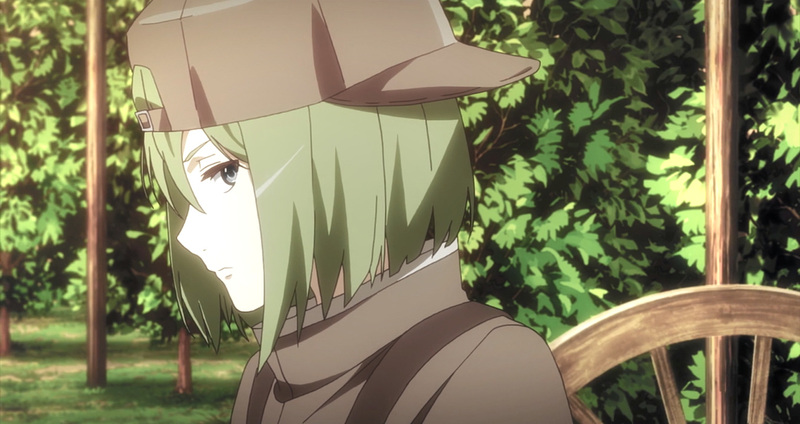 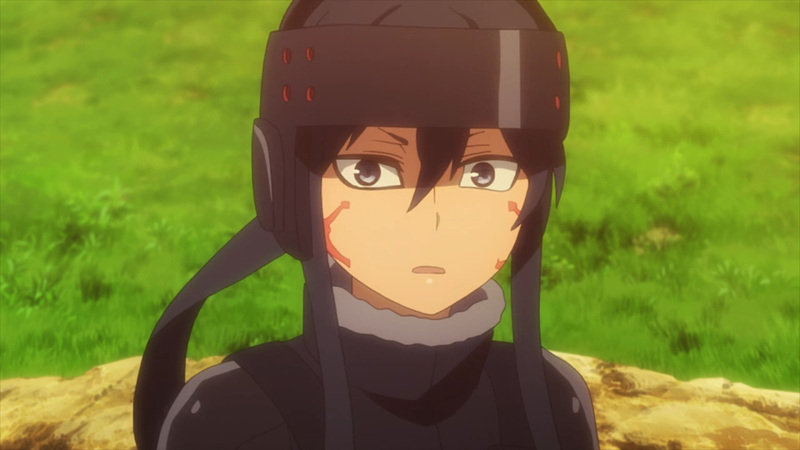 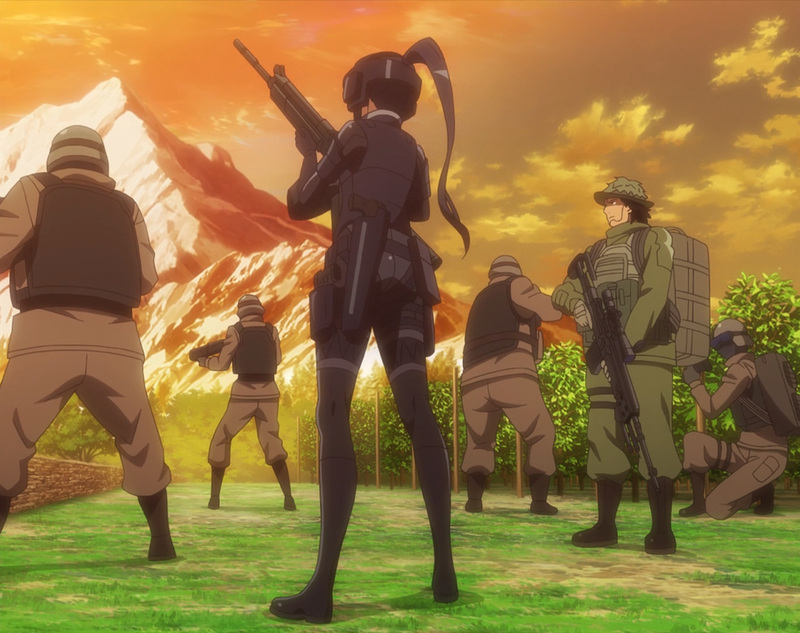 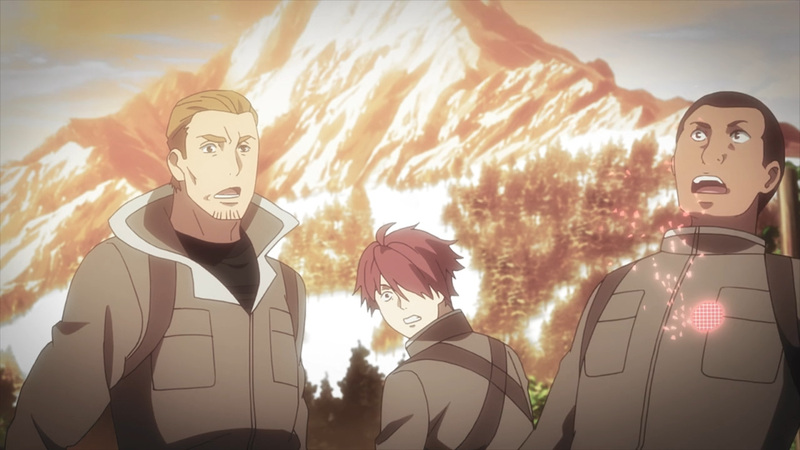 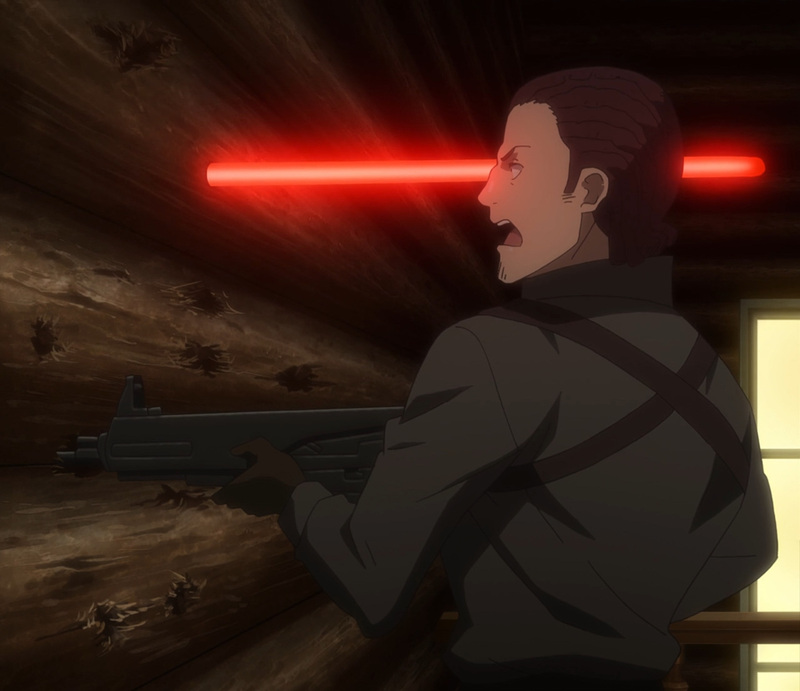 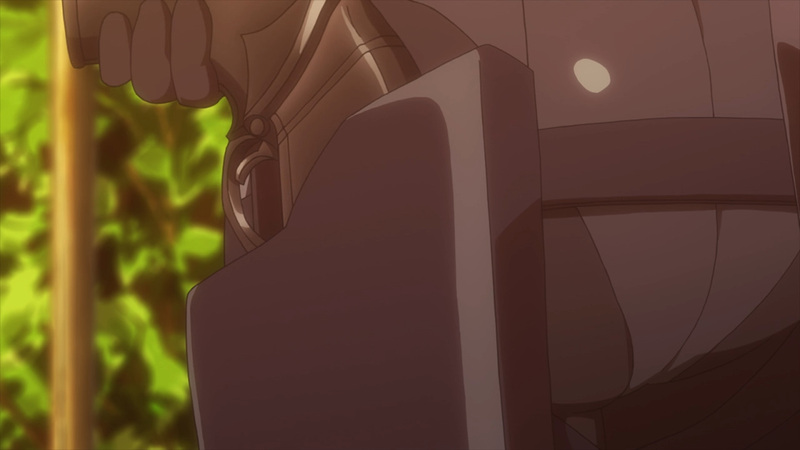 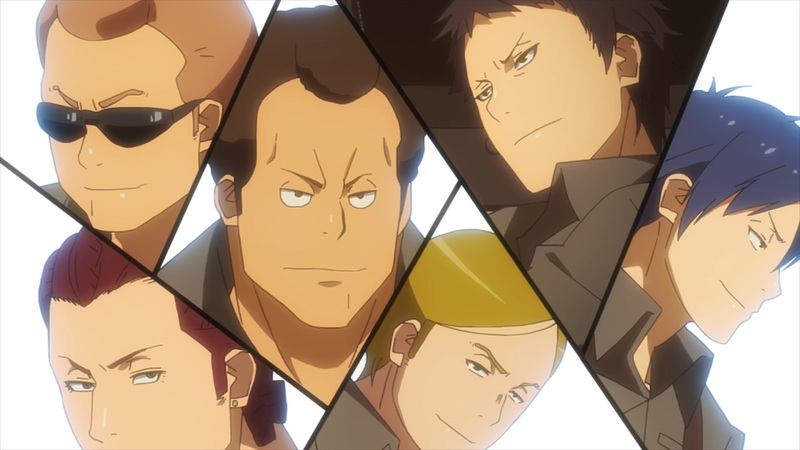 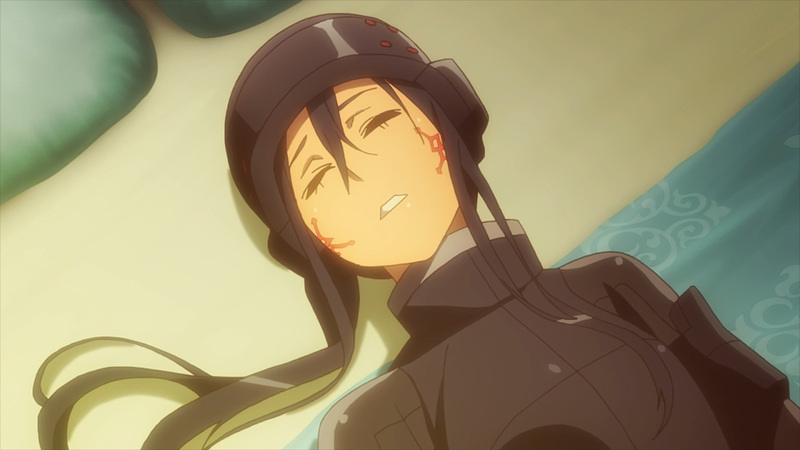 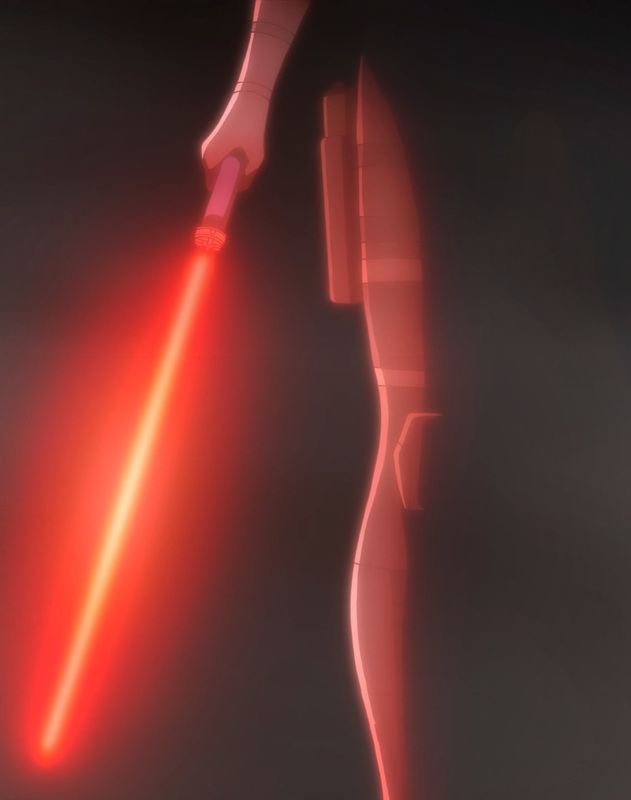 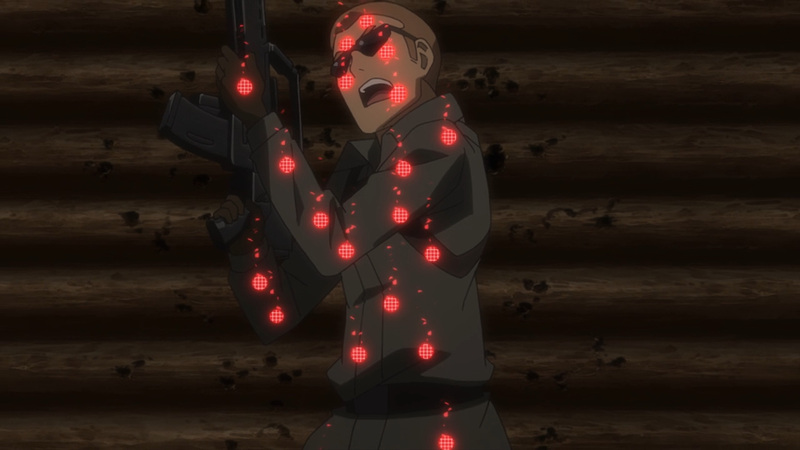 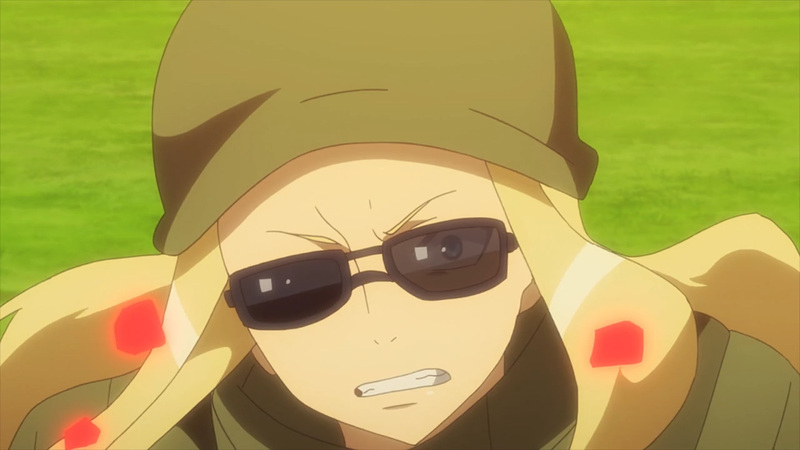 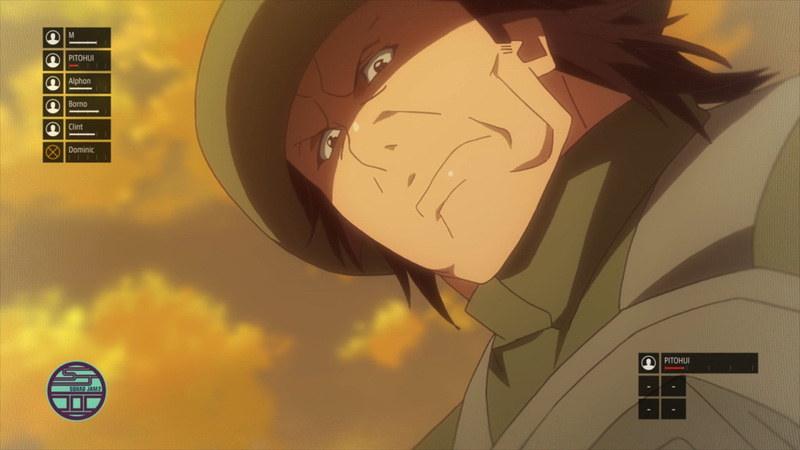 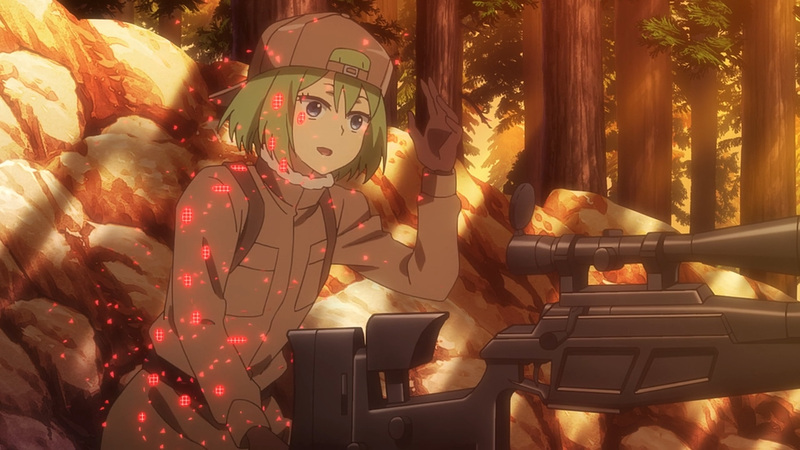 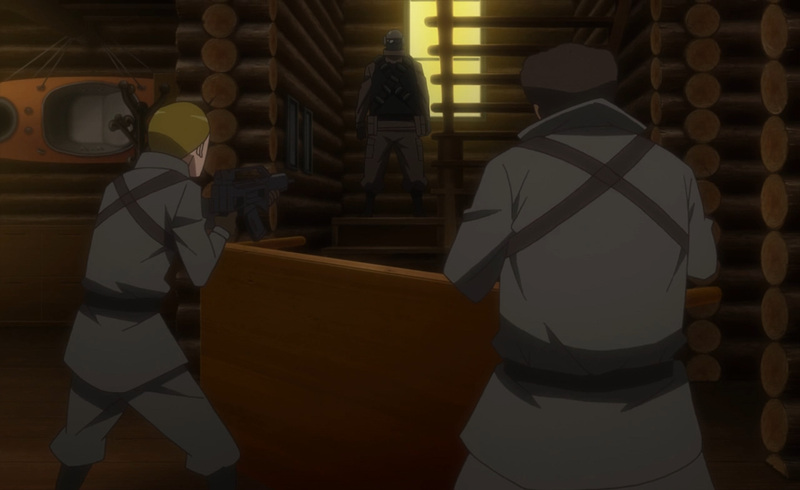 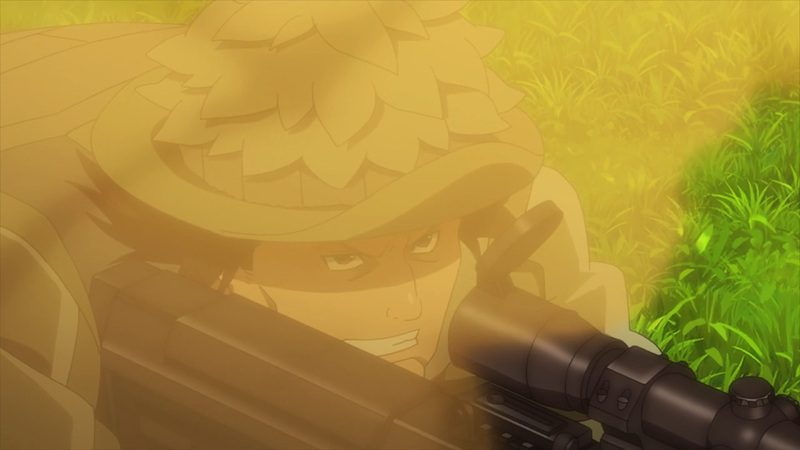 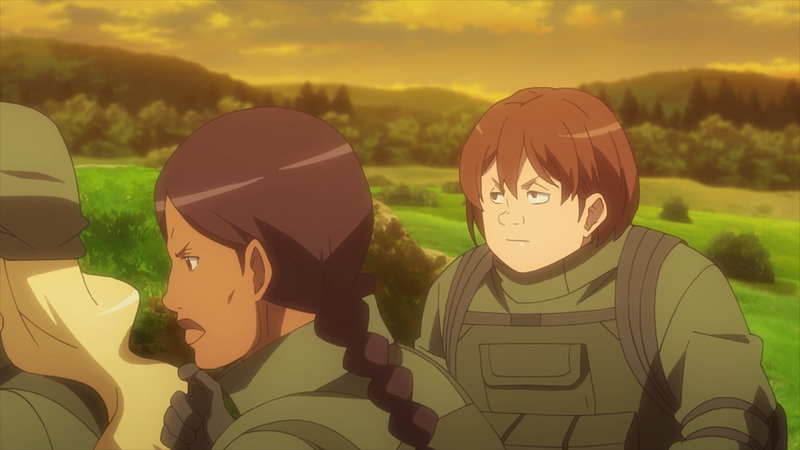 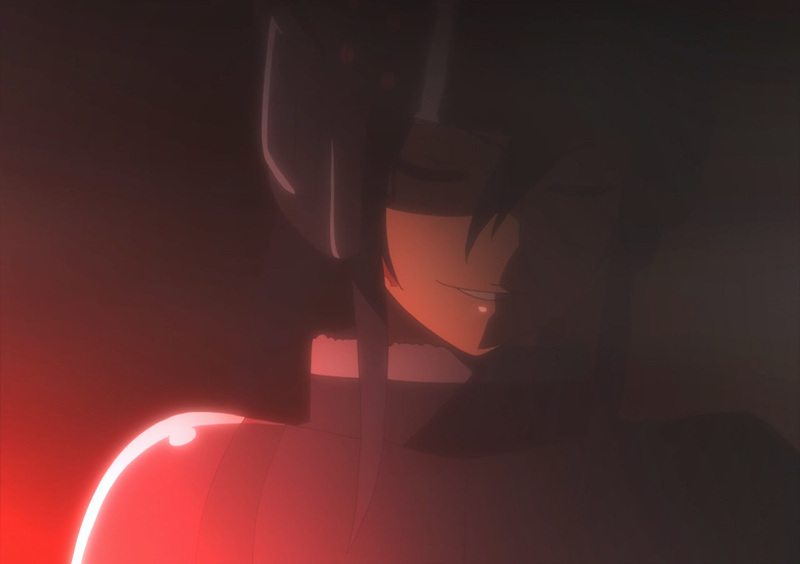 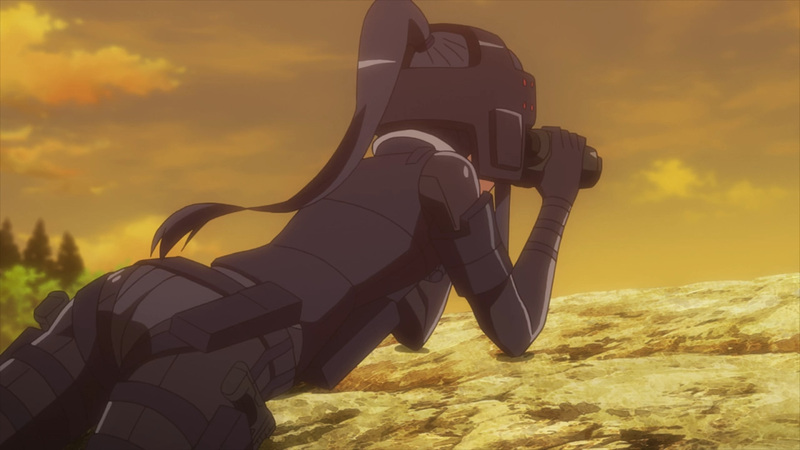 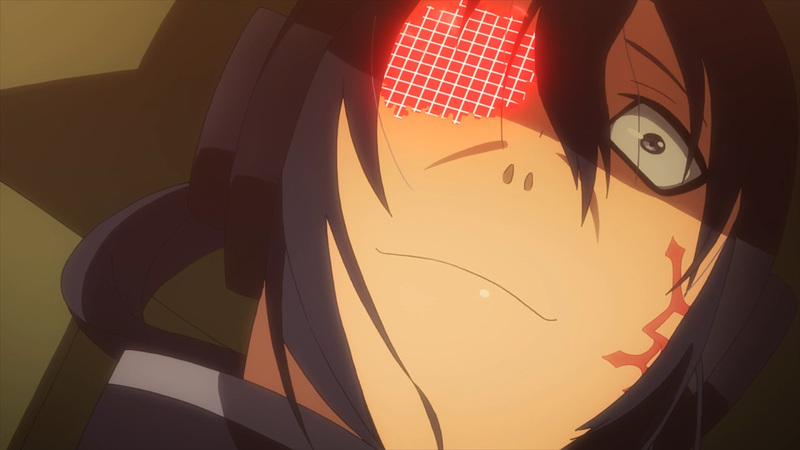 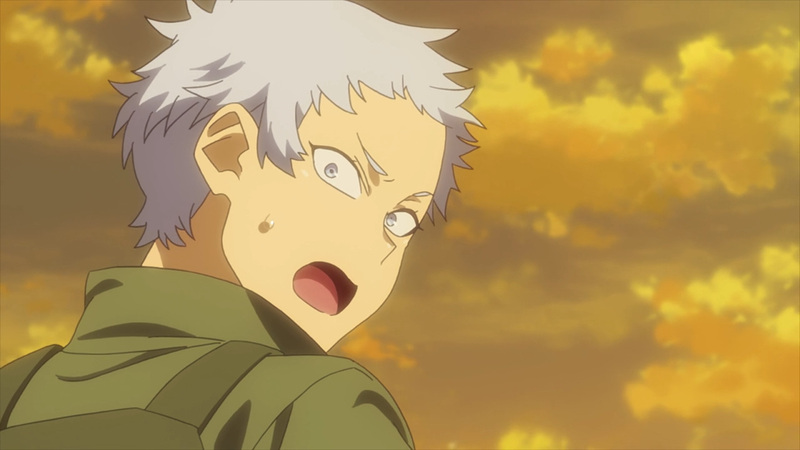 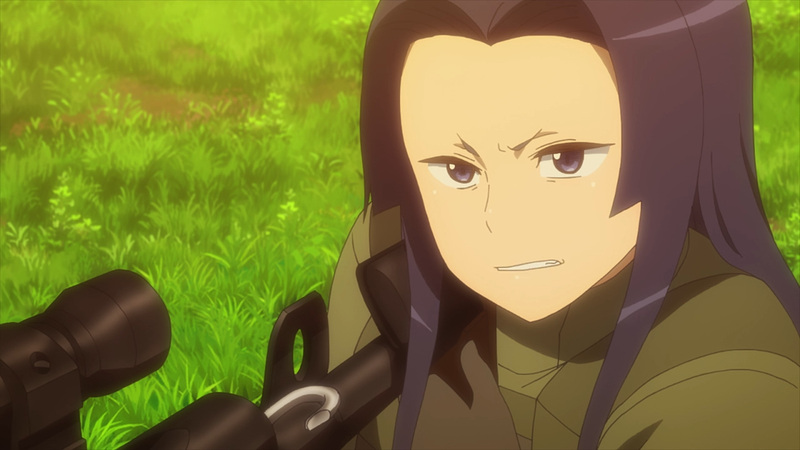 If you watched season 2 of SAO, then you’re going to see something rarely pulled off in the world of GGO. 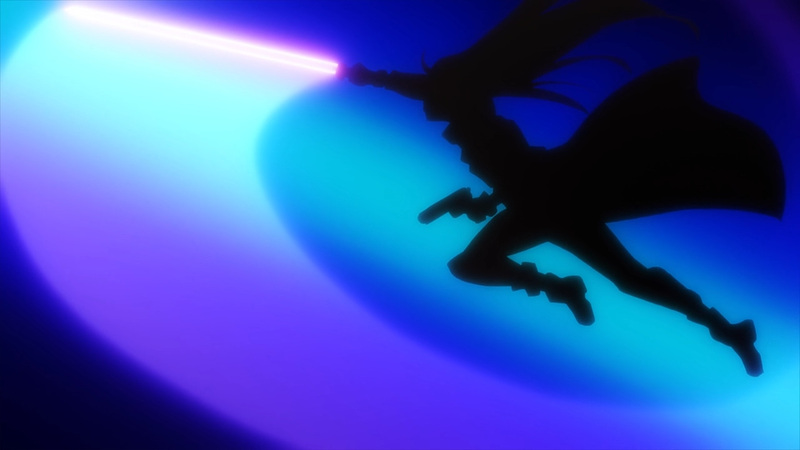 Pito is wielding a photon sword. 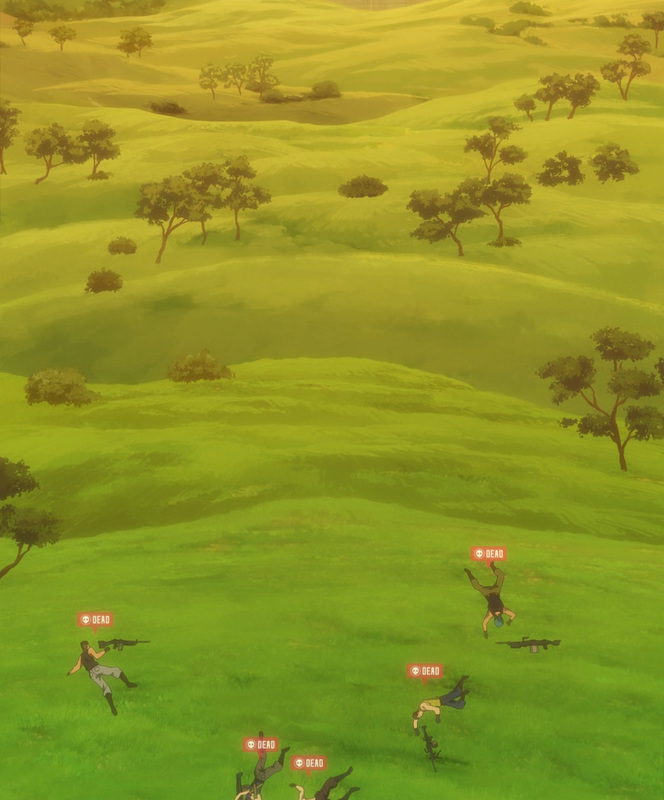 Given the right skill set, one can run wild with this type of game play. 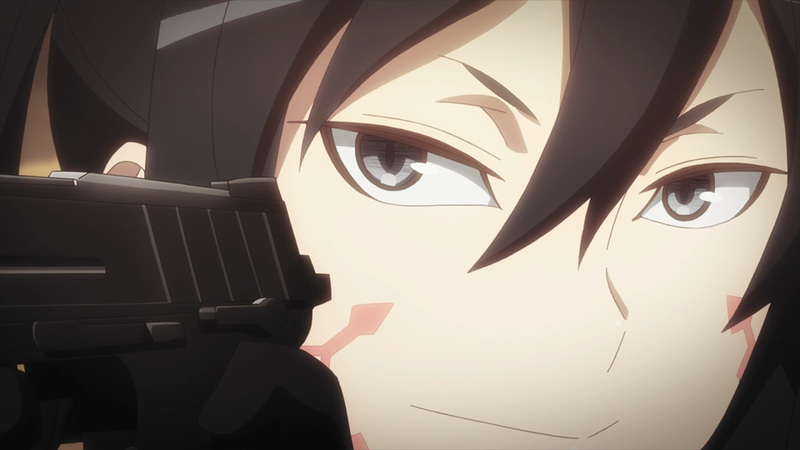 Team MMTM won’t soon forget their massacre at her hands. 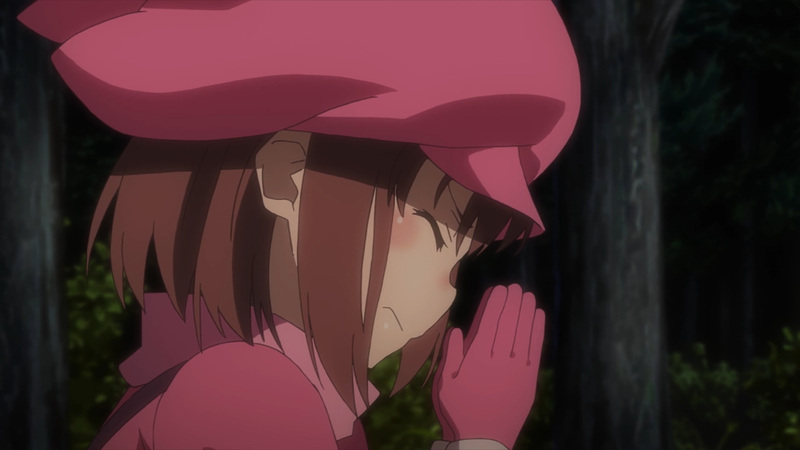 Moreover, Pito truly is living on a prayer. 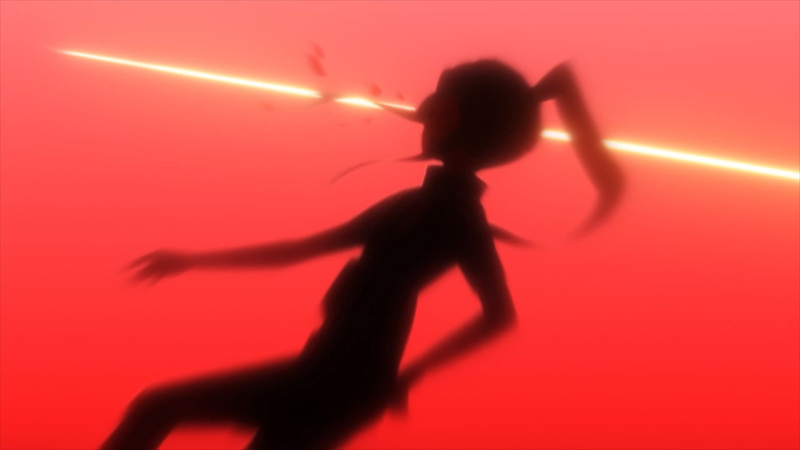 A clean shot through the eye socket, and she’s still going! 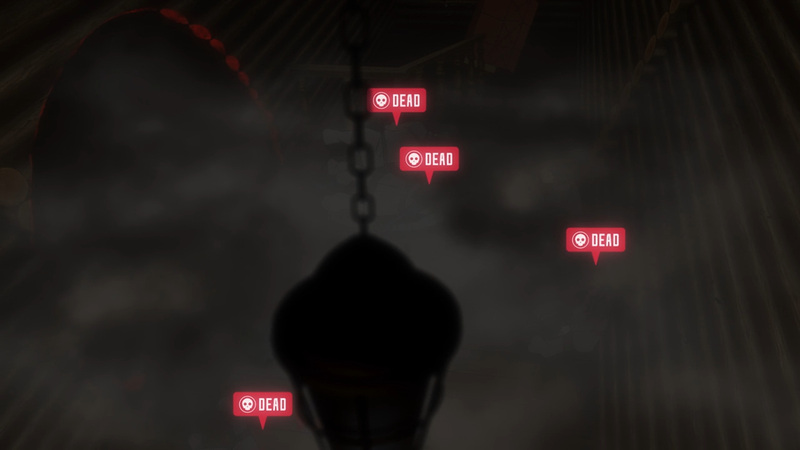 Man, that’s some next level luck. 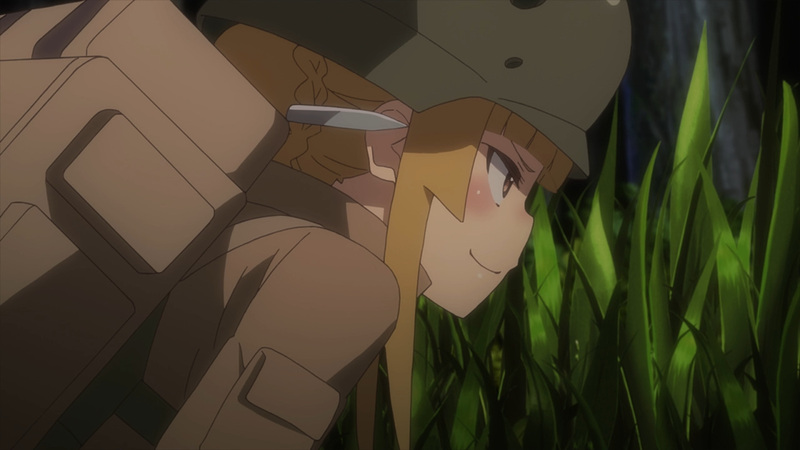 Still, I guess it’s a good thing she didn’t bite the dust. 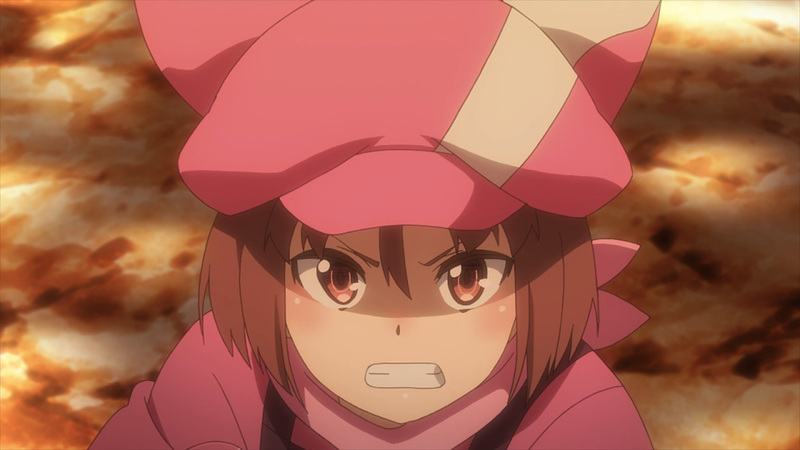 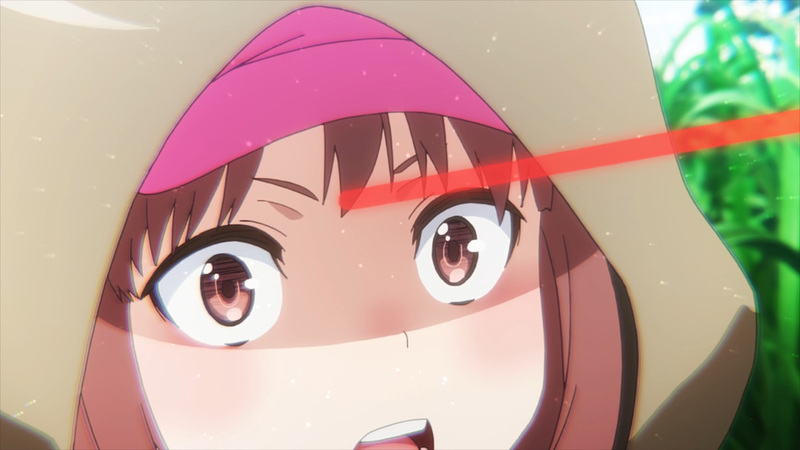 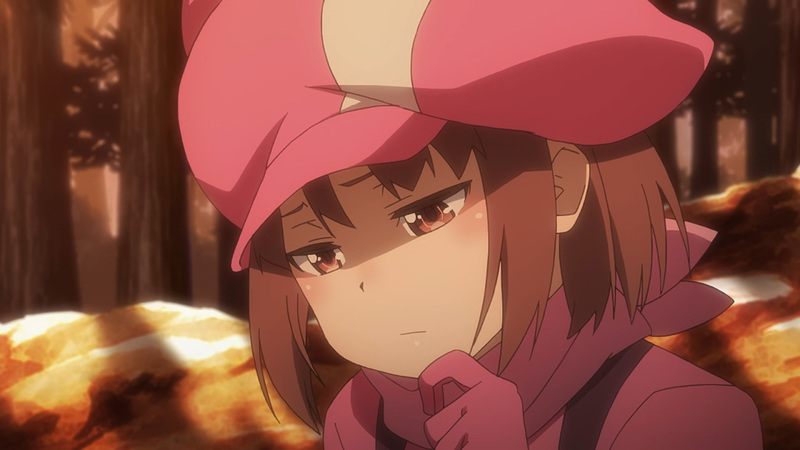 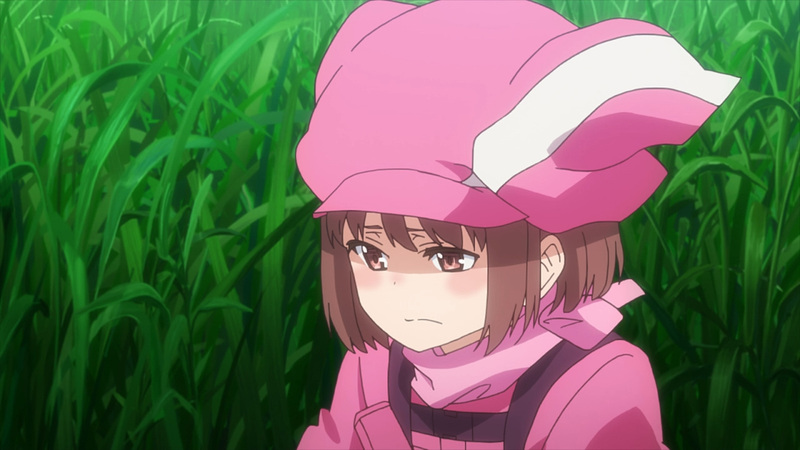 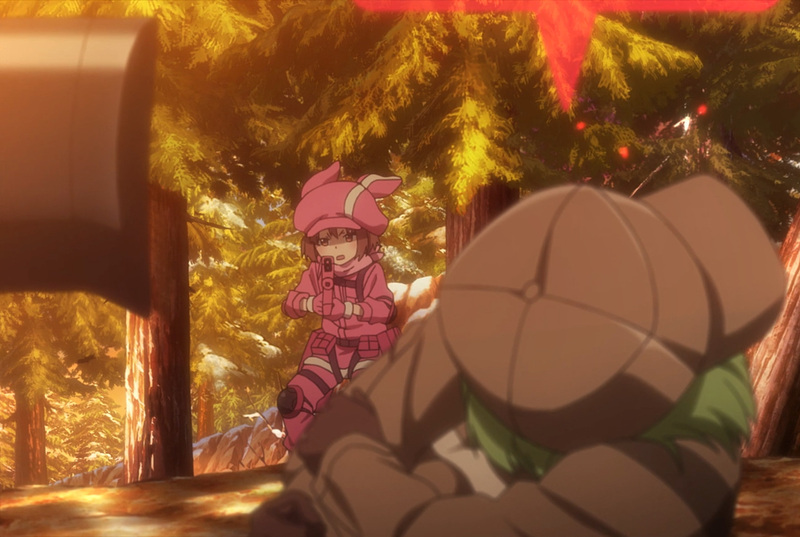 LLENN must be the one to get the killing blow in the end. 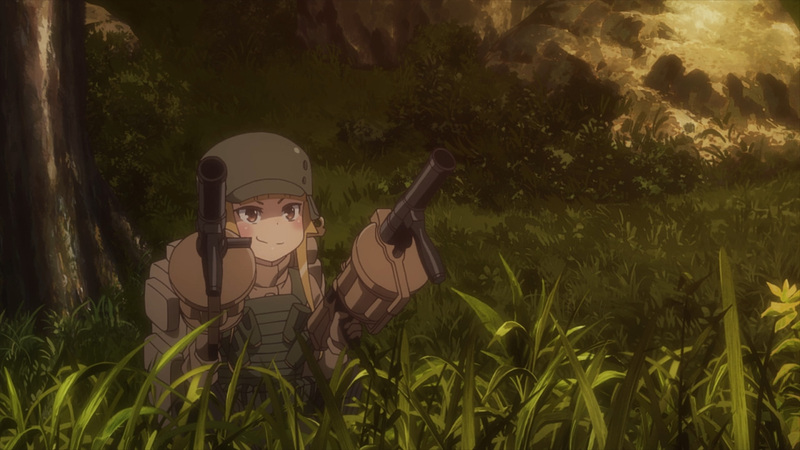 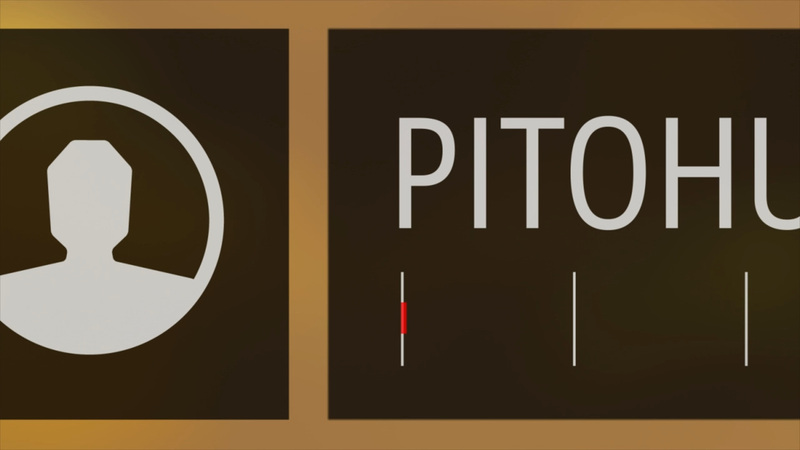 Anyhow, let’s get to the action. 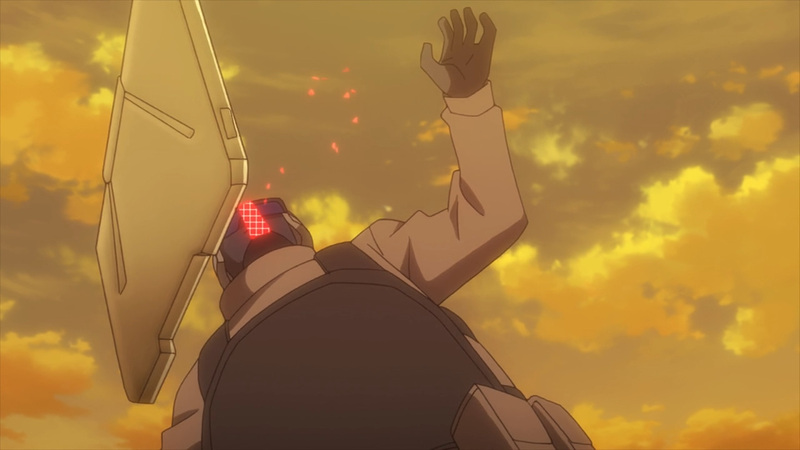 Enjoy the shield-buster! 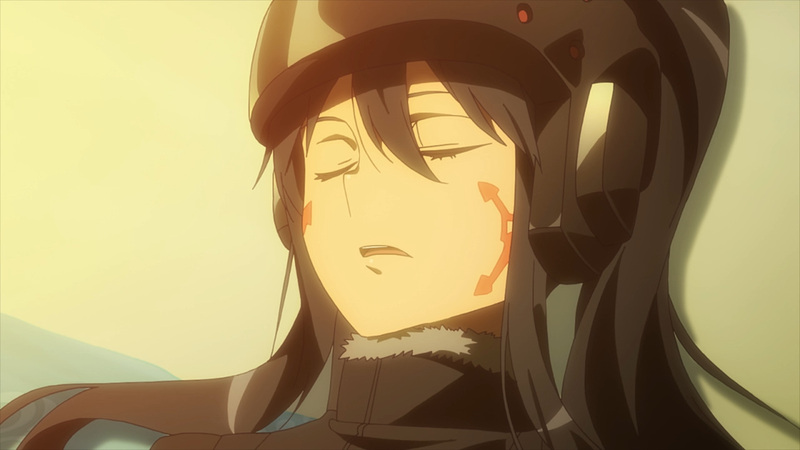 Only 2 more episodes remain. 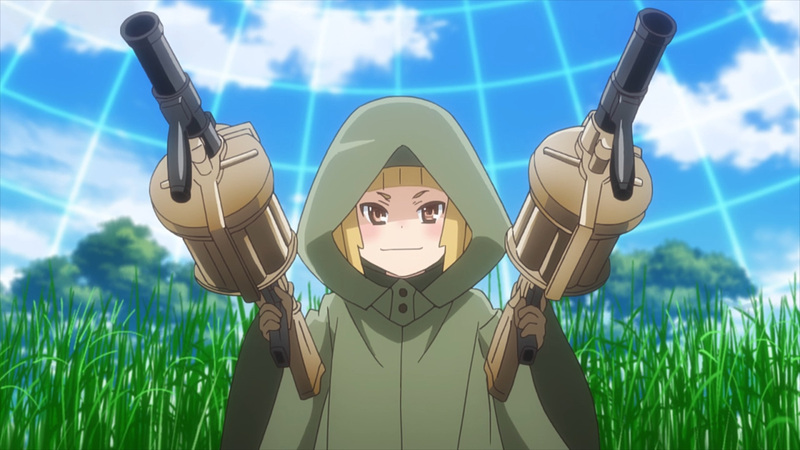 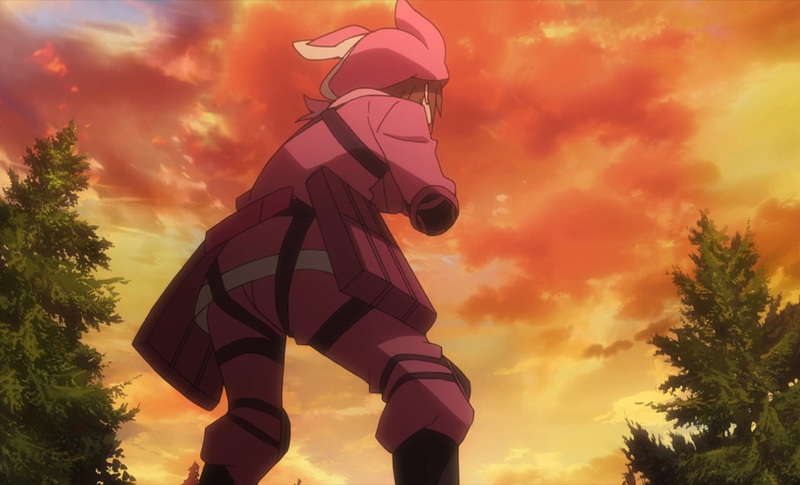 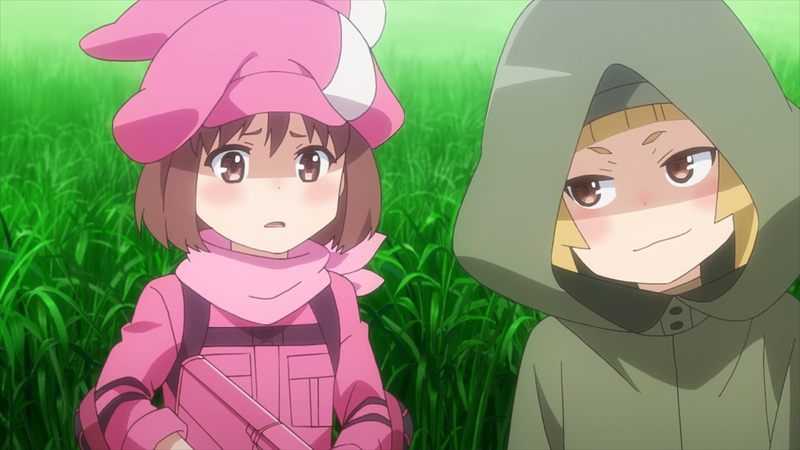 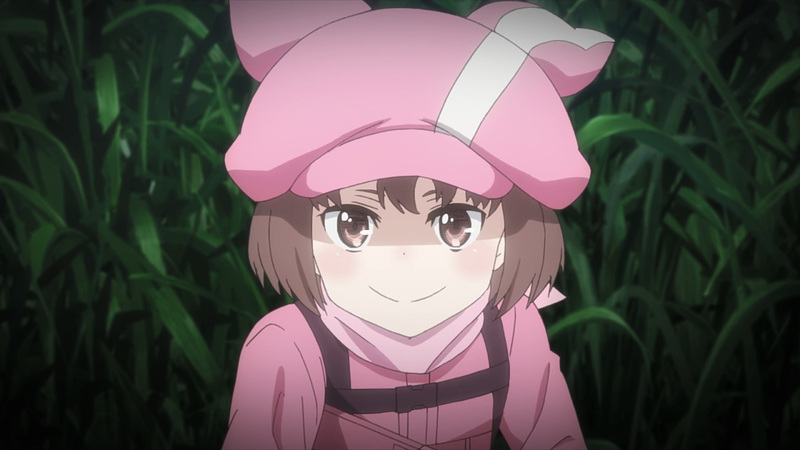 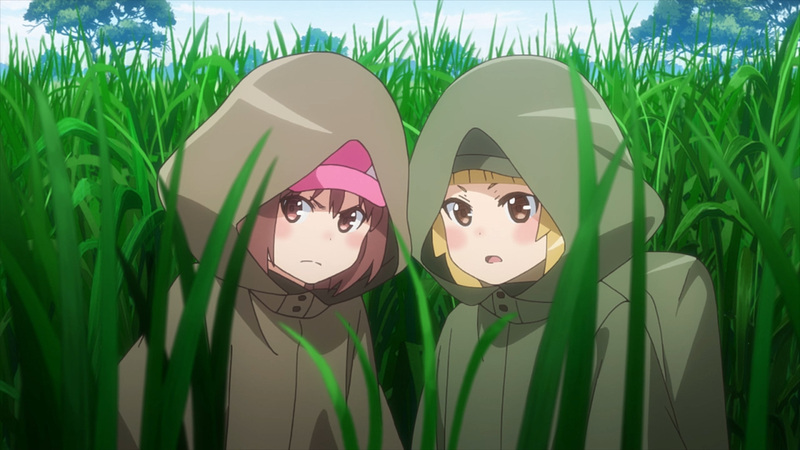 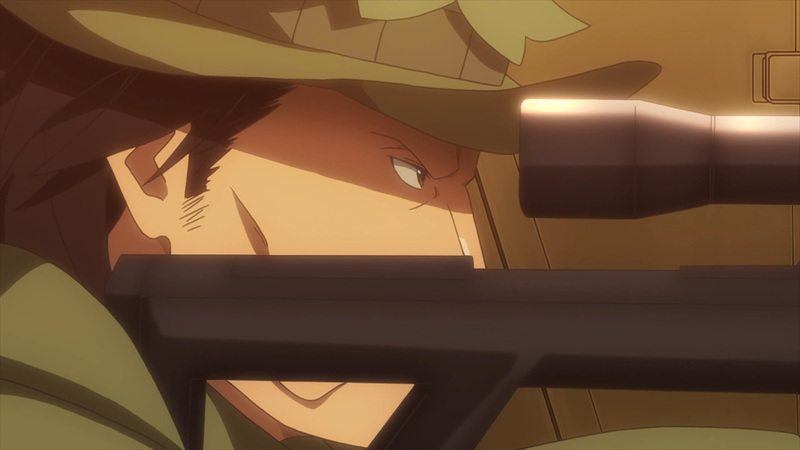 Pito’s and LLENN’s destined duel is coming up soon, so be sure to come back next week for more!